MWAC was specifically designed to enhance Brand Trust with the customer while growing coffee units on a consistent and ongoing basis. 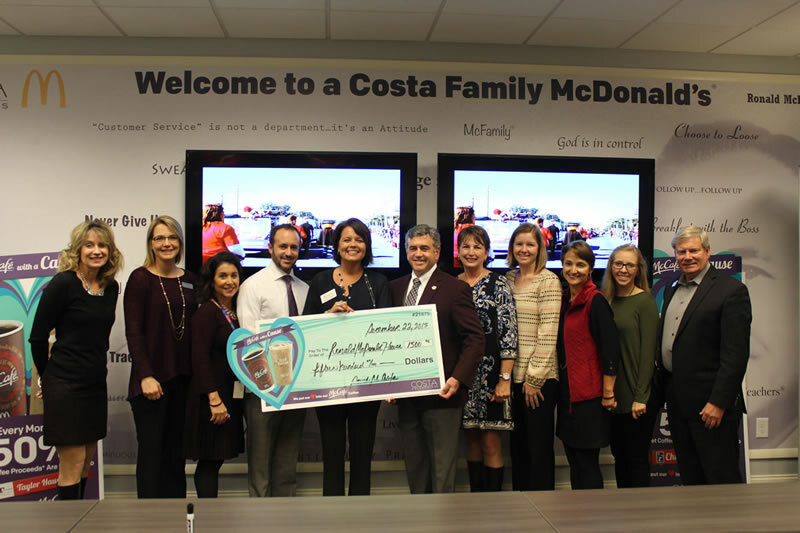 The main emphasis of the Costa Organization’s approach to strengthening Brand Trust is through giving back to the community. 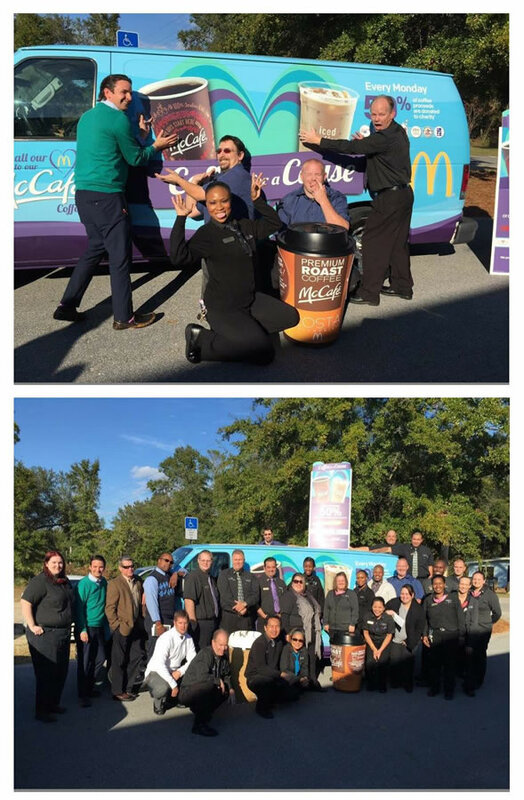 By giving back on a continued basis we can build consumer confidence and Brand awareness resulting in increased guest counts. 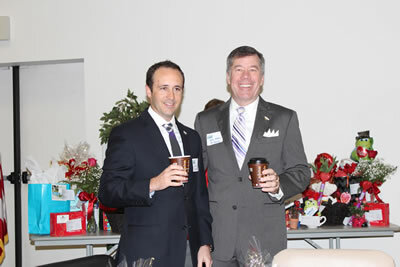 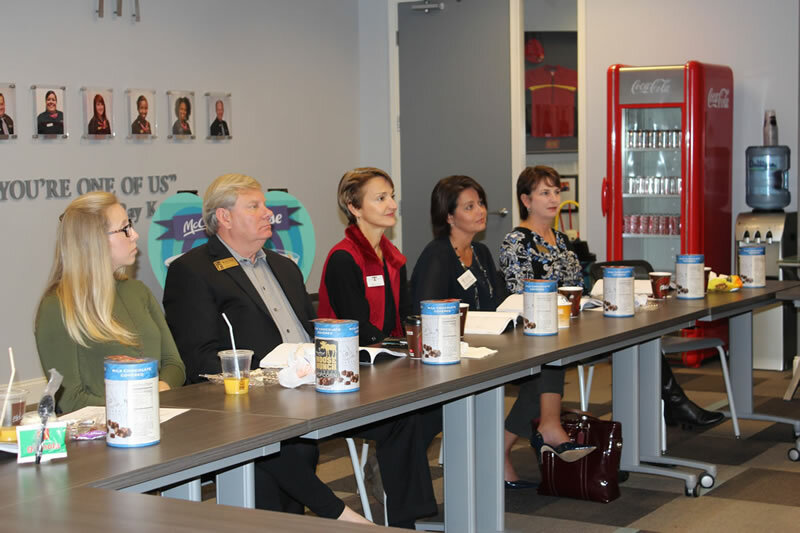 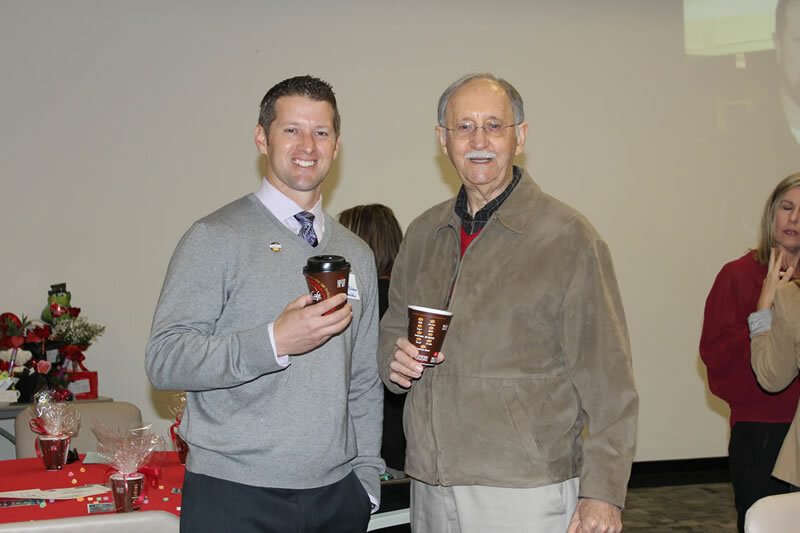 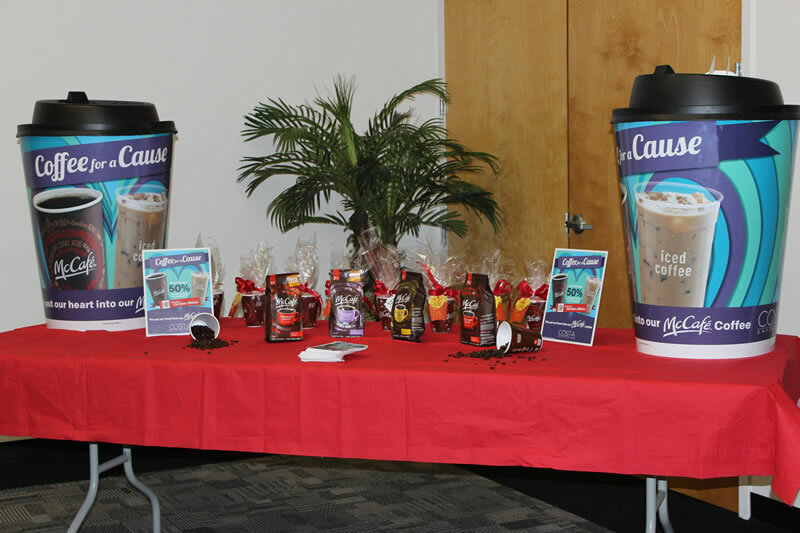 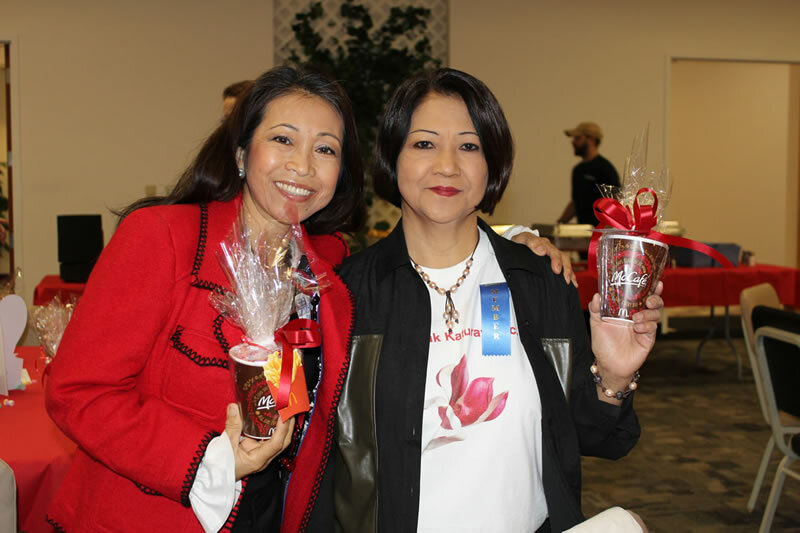 The MWAC program was originally designed to be the bridge between the national two week Coffee Events that was introduced in April and September of 2013. 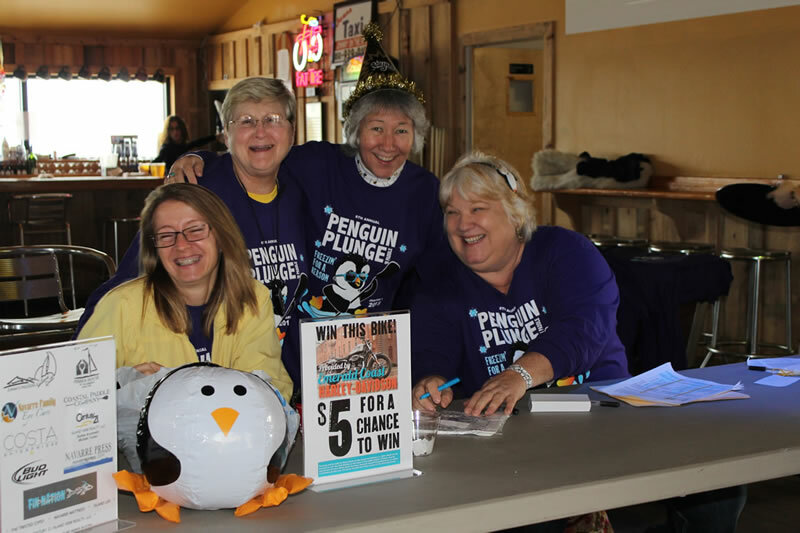 This MWAC “Bridge” was designed to keep the momentum flowing between events to ensure awareness continued at peak levels and never dropped off between events. 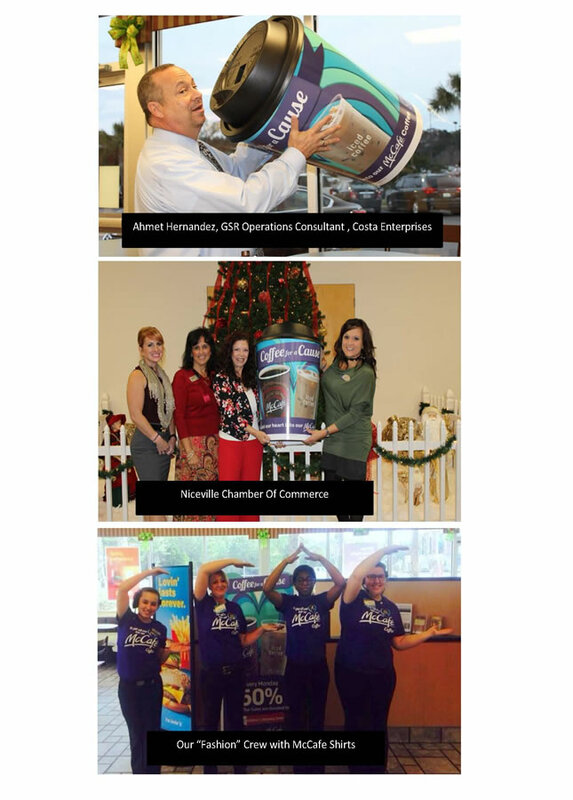 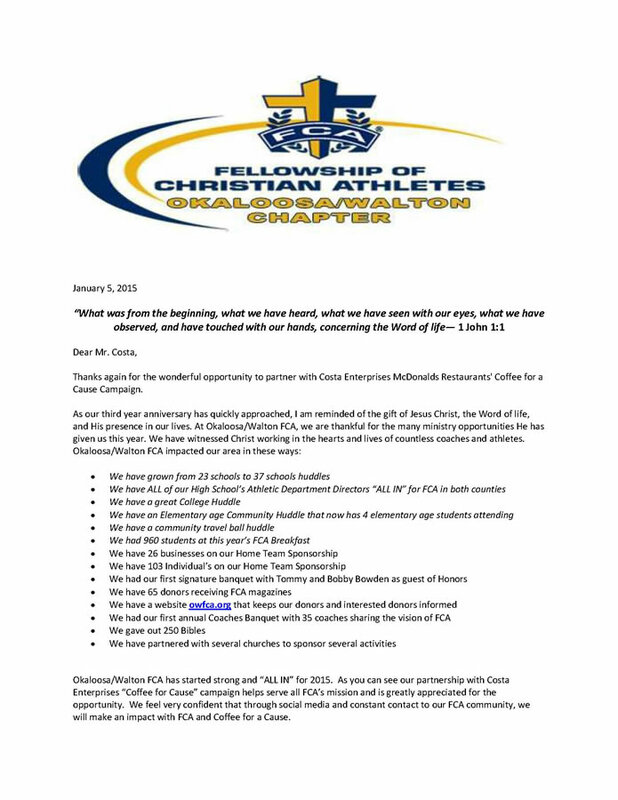 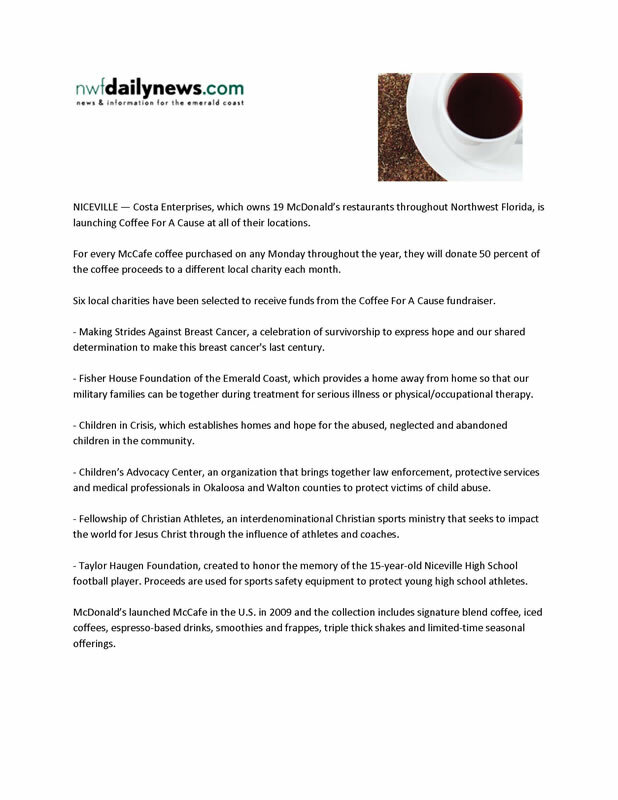 Since the decision to continue National Coffee events was still in review at that time it was our organizations position to commit to designated charities for a 14 month time period. 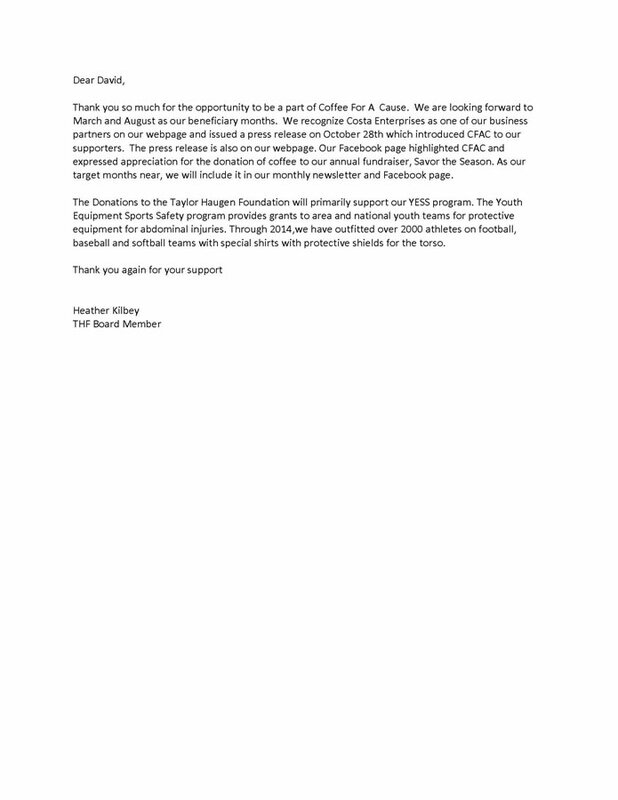 We felt it was critical to keep the momentum at a high level so that we would not lose traction with our coffee growth. 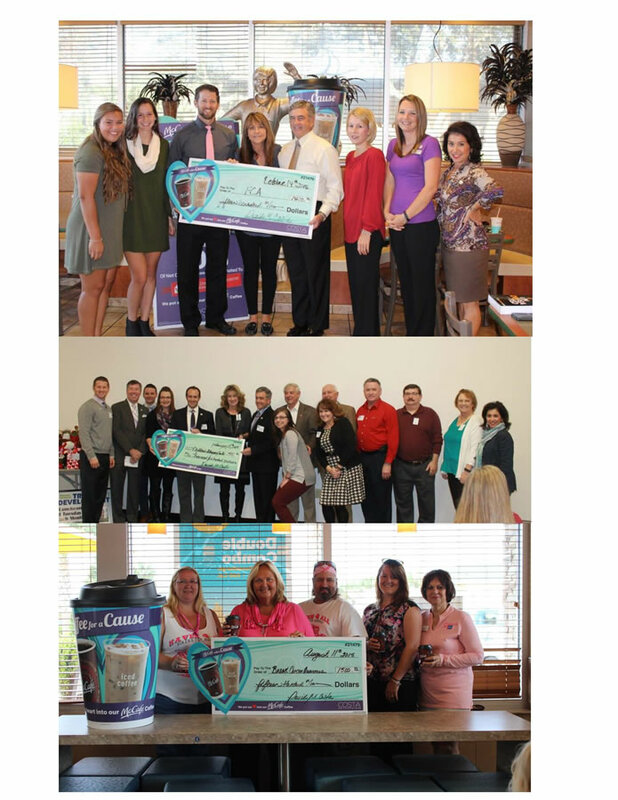 Select 7 charities to be recipients of the monthly MWAC checks. 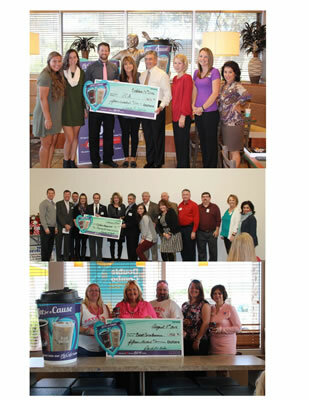 The charities selected were 6 national and 1 local. 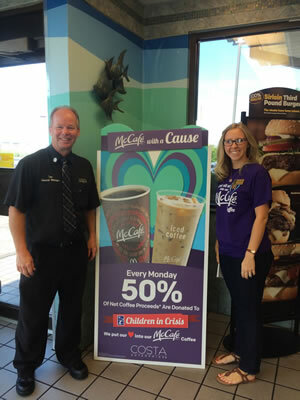 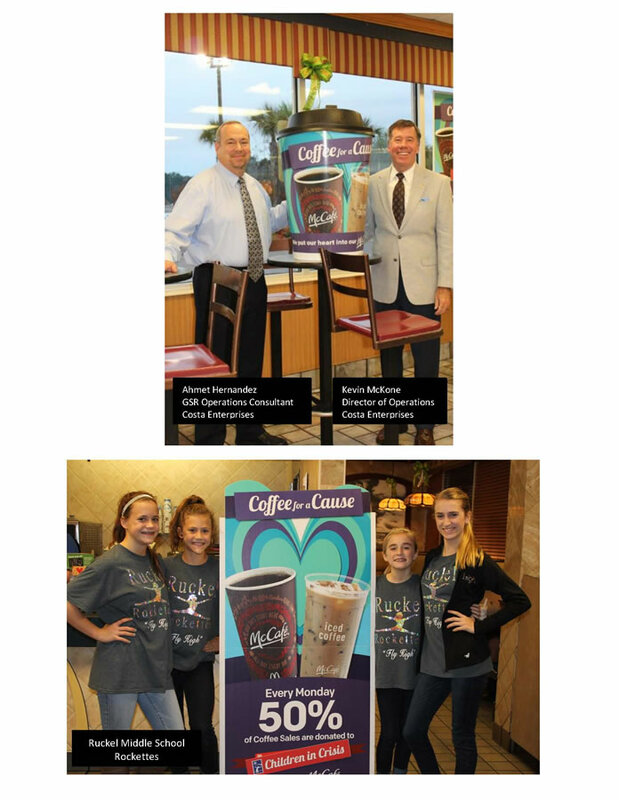 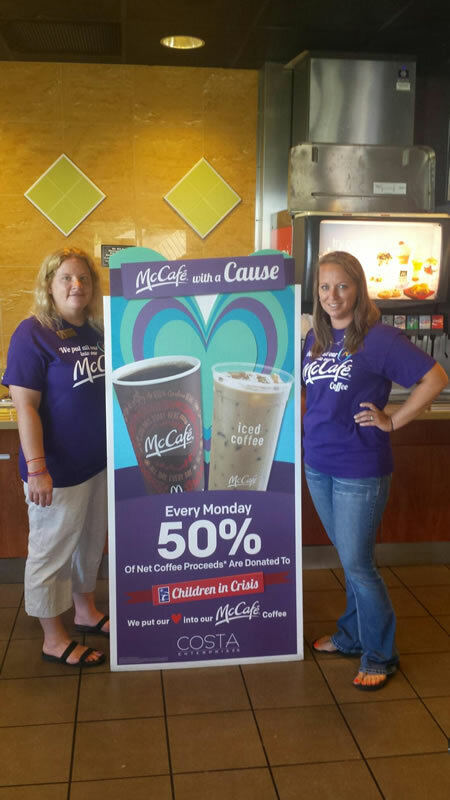 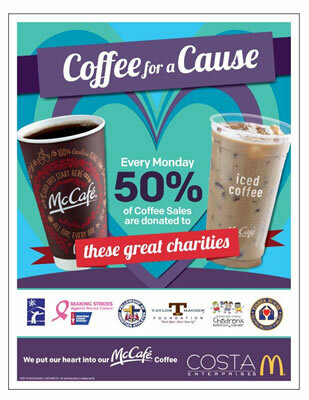 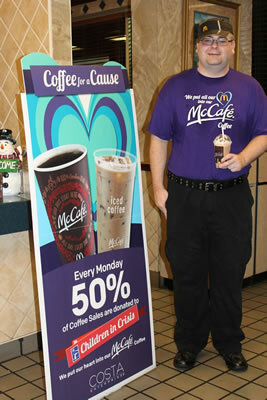 On each Monday of that particular month promote MWAC for that selected charity and contribute 50% of the total Hot and Iced Coffee sales increase from the previous year. 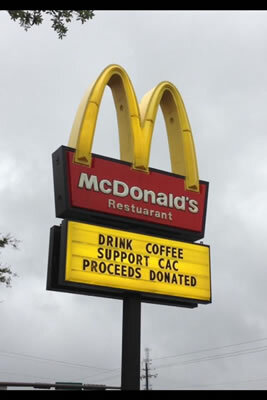 TAB 7 “MWAC Financials” has more detail for your review. 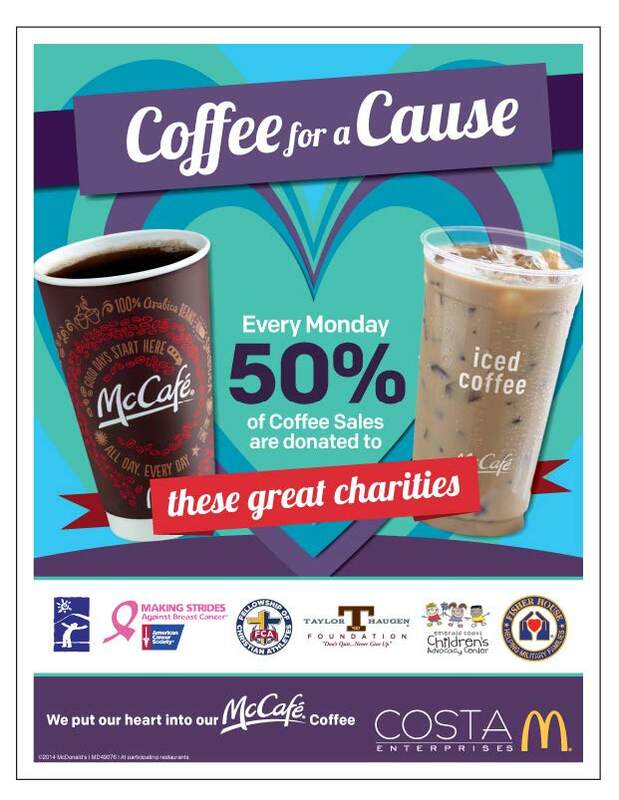 Total up the Monday coffee sales for that month, determine the increase over the previous year and calculate 50% donation to the designated charity. 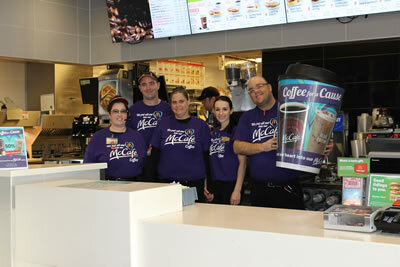 Crew and Manager wear a specifically designed MWAC shirt every Monday for the promotional event. A designated MWAC Barista is responsible to ensure all crew are trained to provide the customers with highest quality through happy smiles, fast and friendly service. 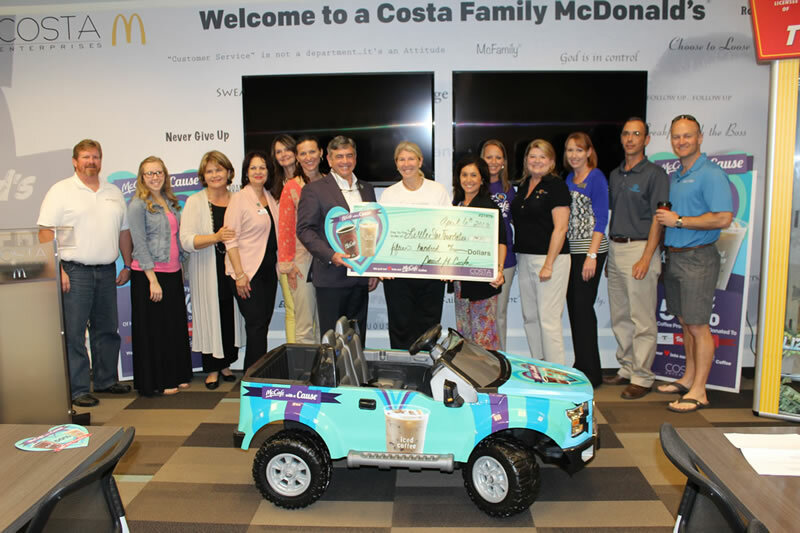 At the conclusion of the month after the sales numbers are totaled a check presentation date is coordinated with the charity of that month. 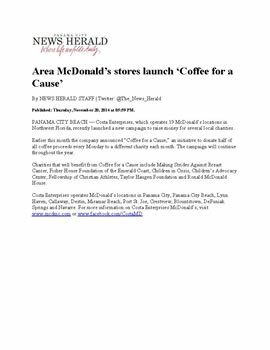 Charity of the month will advertise and promote the event as well as participate in store location at their own discretion. 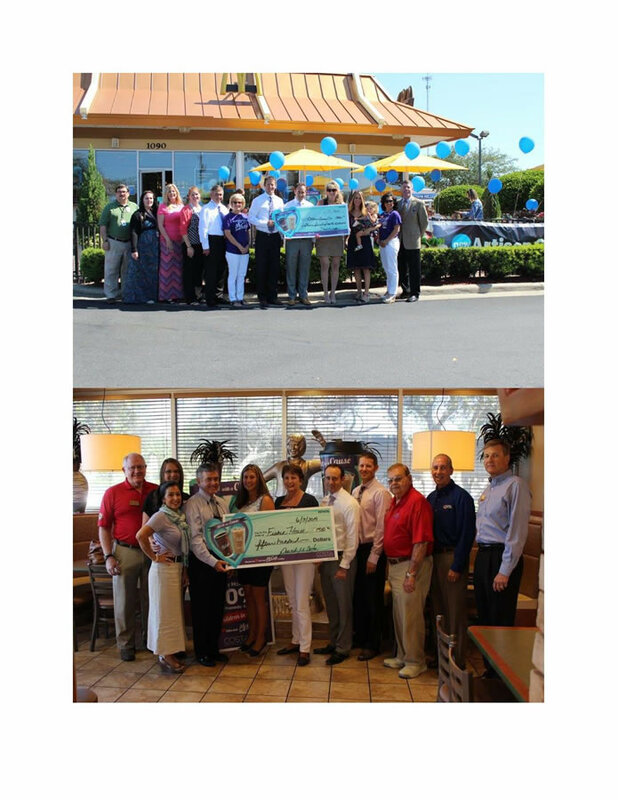 The check presentation to the Charitable Organization is scheduled immediately after the last day of each month to publicize the result of the event as well as display a true commitment to the charities. 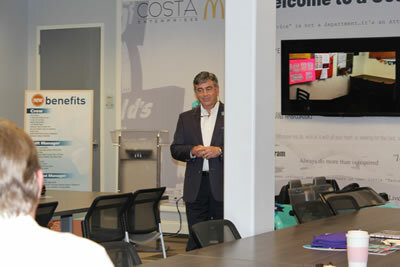 Owners of the Costa organization as well as mid-level management and the Charity representatives are present. 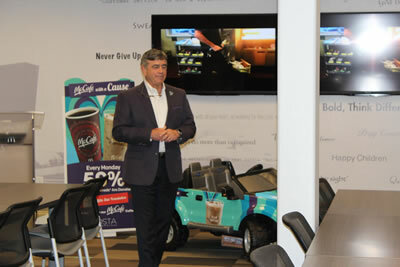 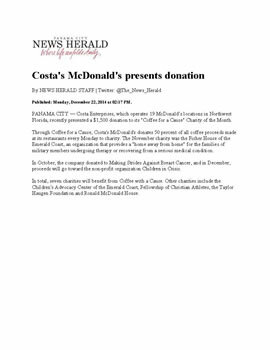 The presentation is done at either the Costa Corporate office or a convenient Costa Family McDonald’s location. 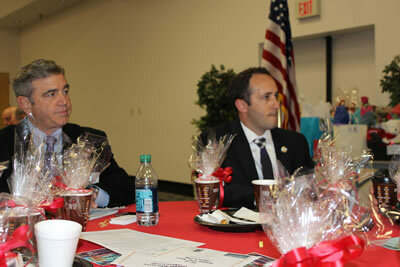 Various media partners are invited to include newspapers, radio and TV. Our Marketing Director as well as the Charity Market Representative ensures all social media are utilized to maximize exposure of the event. 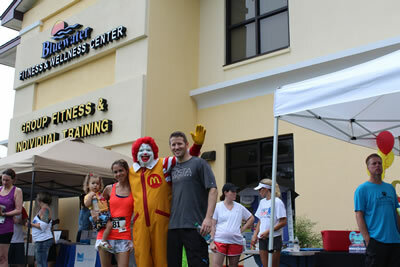 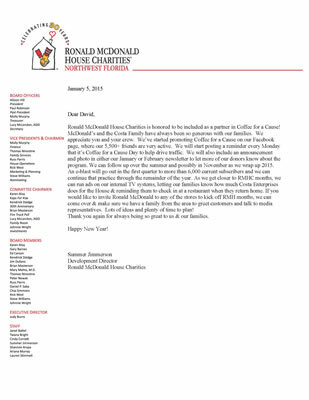 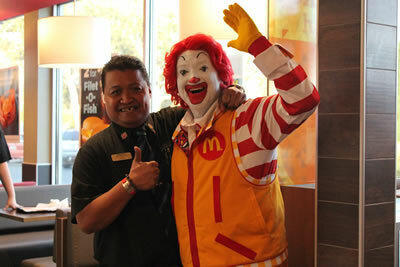 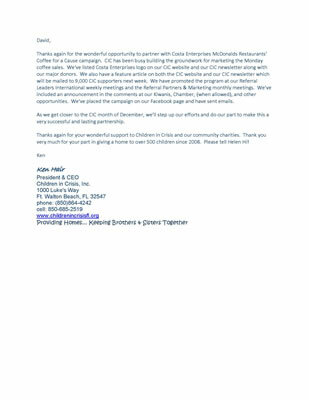 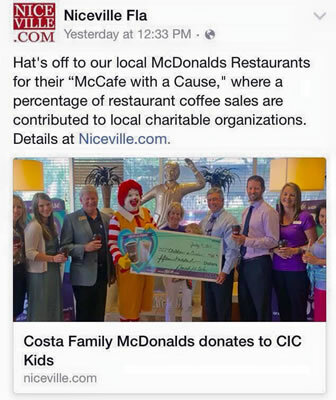 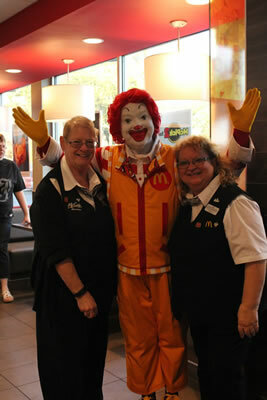 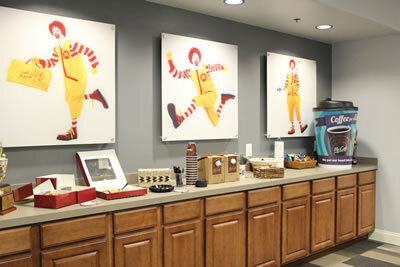 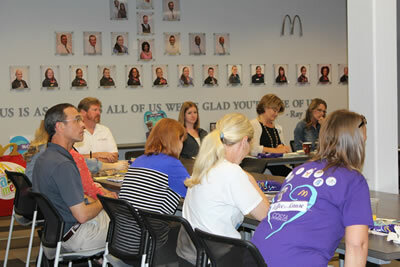 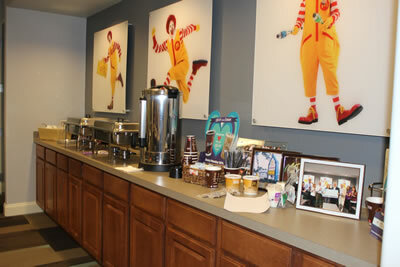 The commitment by both the McDonalds Owner/Operator organization and the Charity are the keys to the success. 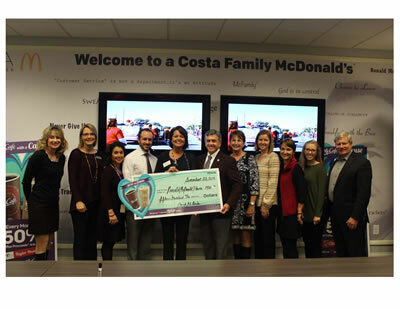 The Costa organization wanted to ensure that the Charities knew we were committed to the success of the MWAC so we committed a base line minimum monthly donation of $1500.00. 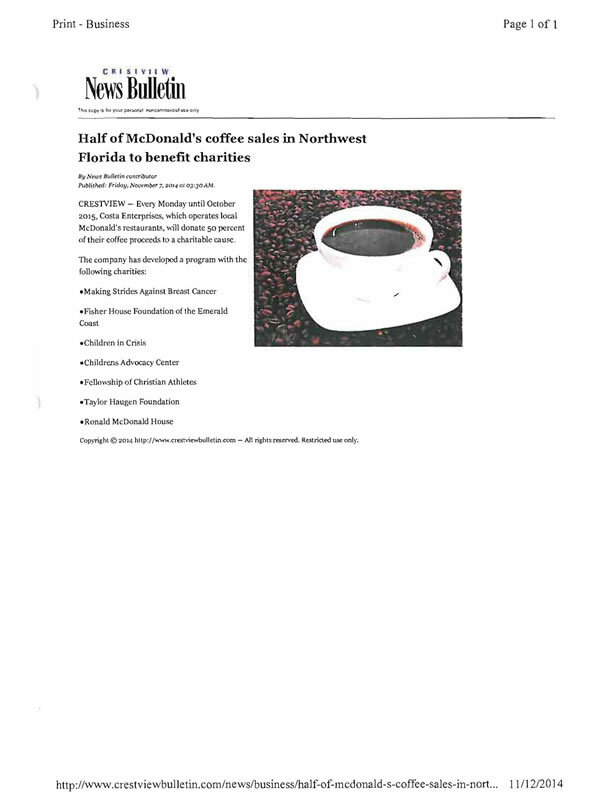 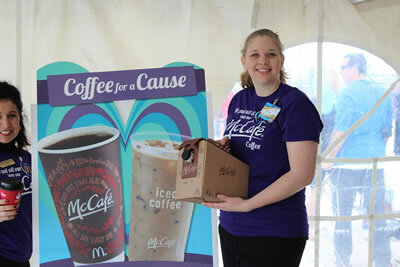 This way the charity knew we were serious and they in-turn would assist in showing the positive image and high quality taste of our McCafe Hot and Iced Coffee. 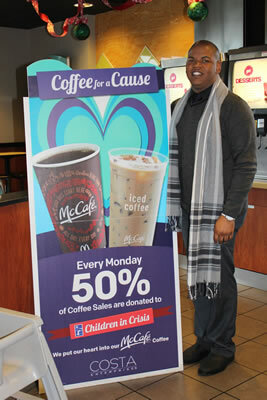 The results during the initial three months have been very promising; with Monday coffee sales up 30% on average. 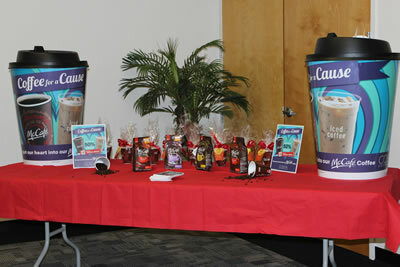 Our challenge is to grow sustaining sales the other days of the week to increase the overall coffee category. We will be implementing various marketing tactics throughout this fourteen month MWAC strategy to help provide lift to the overall coffee line. 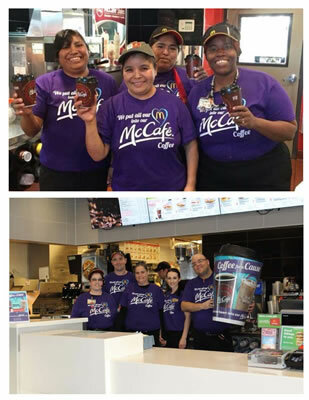 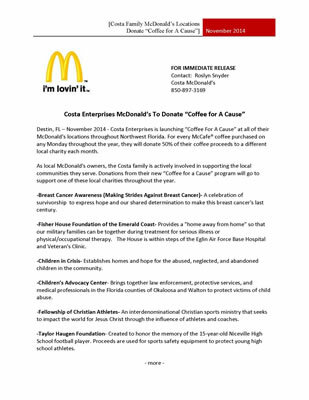 Updates to this McCafe with a Cause Business Strategy will occur annually with tracking results to monitor and analyze our progress. 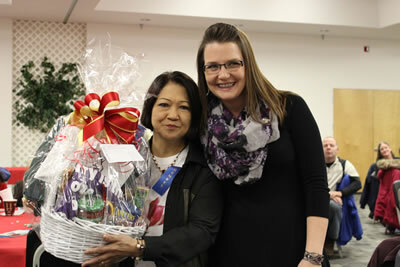 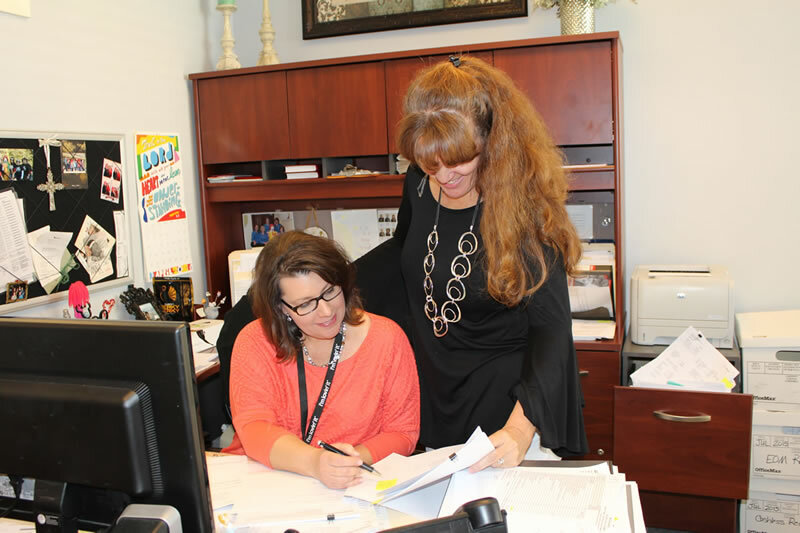 The enclosed tab labeled “MWAC results and tracking” will provide the latest annual results. 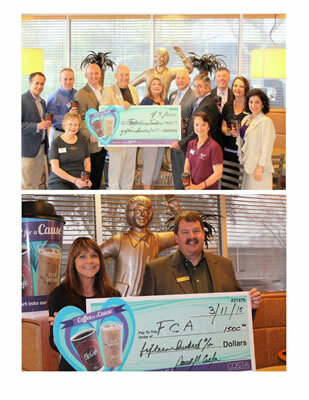 This is a long term strategy with the dual purpose of building consumer confidence by “giving back” and growing coffee units exponentially year after year. 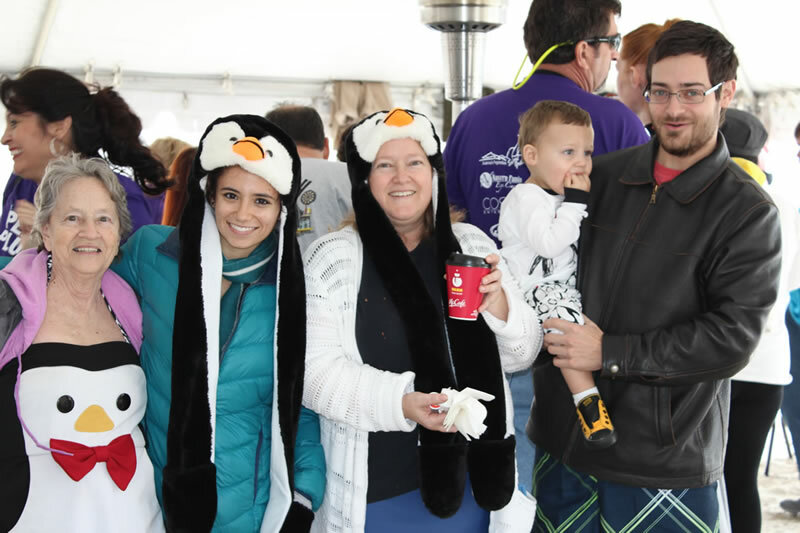 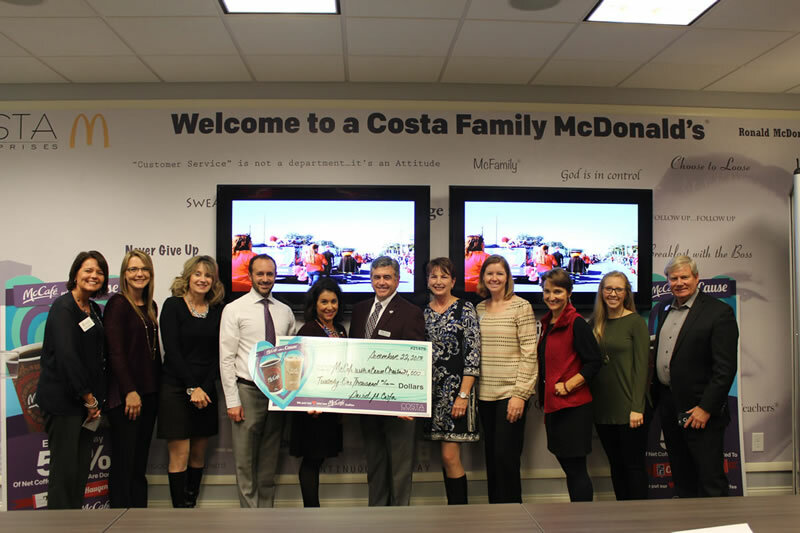 The Costa Organization prides itself in selecting charitable organization that focus on the family and the needs of the local community. 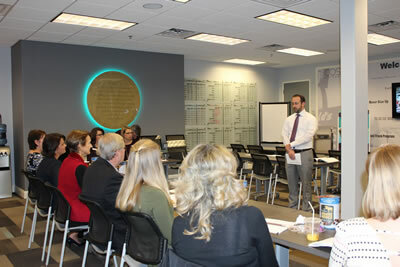 Our initial kick off meeting was held with all the charities in September describing the elements of the program and to get their input on the strategy. 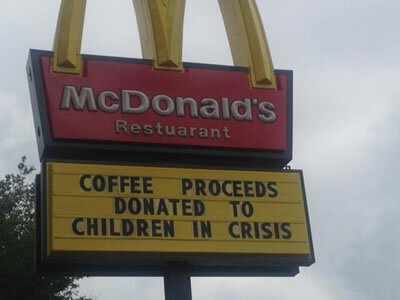 Needless to say they were extremely excited and willing to do whatever it would take to make this a success. 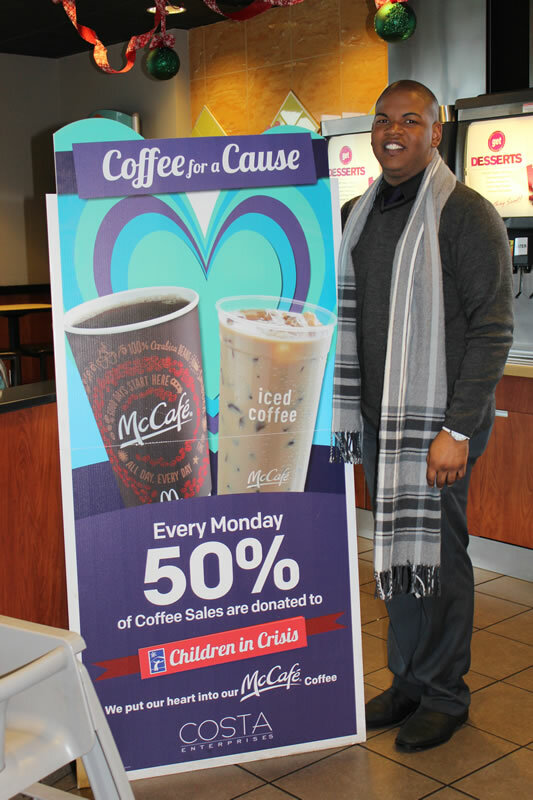 We committed a 14 month program and a minimum donation of $1500.00 per month that would escalate if the Monday sales increase for that month exceeded the previous year’s sales. As our sales grow so will the charities contribution to their cause. 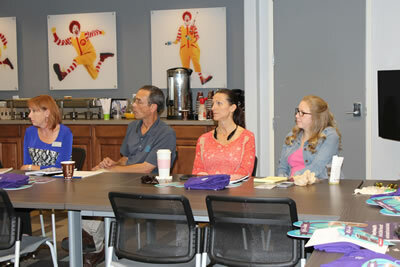 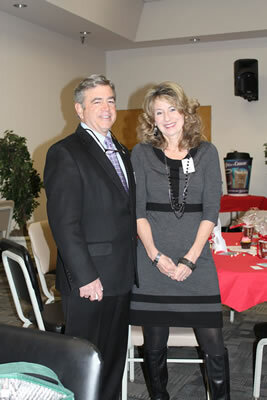 The Costa Organization agreed to provide any POP or advertising elements for the charity to use to promote MWAC. 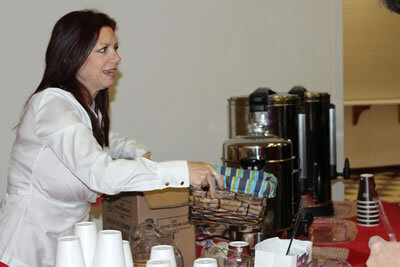 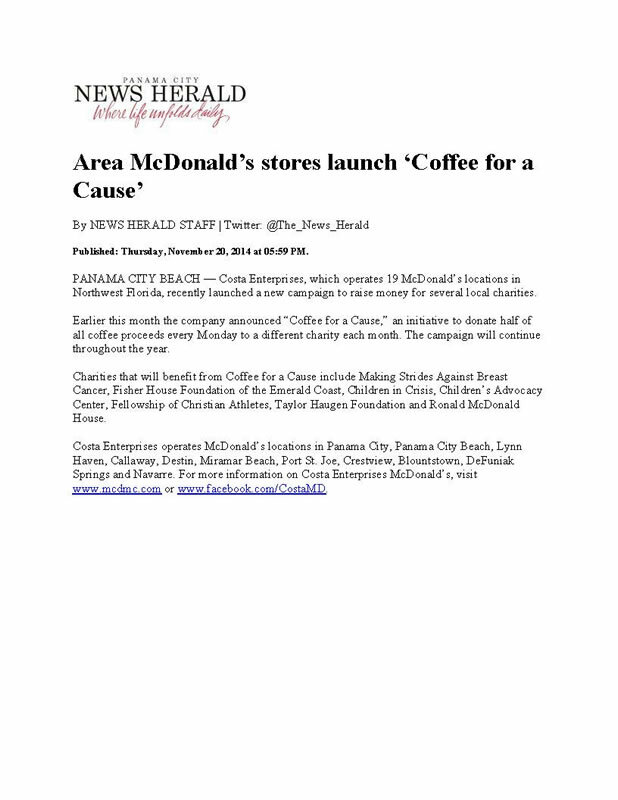 In turn the Charities agreed to use our coffee at any and all events that they organize and/or sponsored. 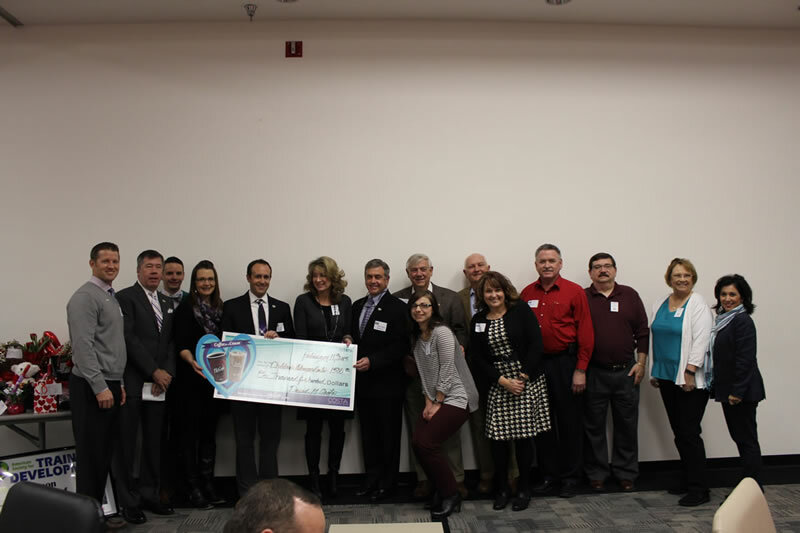 Also as a part of their partnership the charity of the month agreed to publicize the MWAC event on all aspects of social media as well as their websites, newsletters and TV/radio spots. 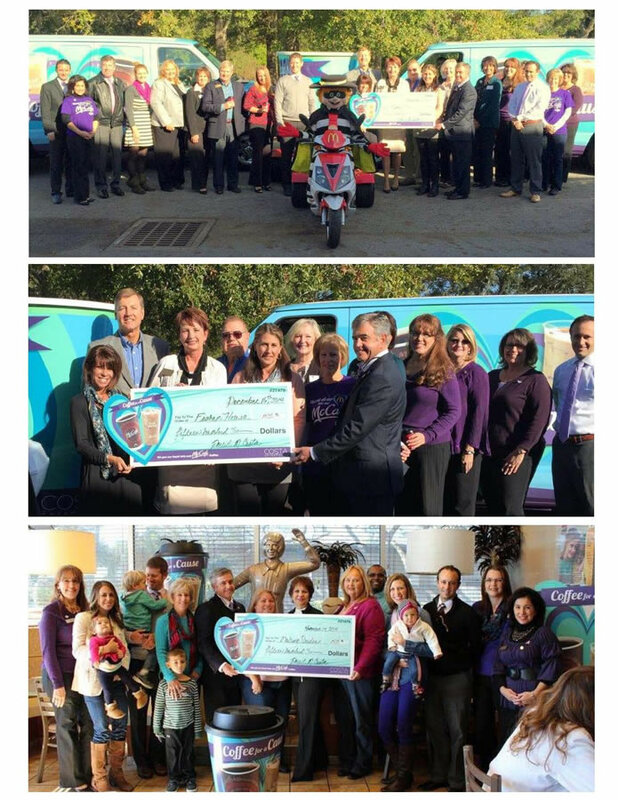 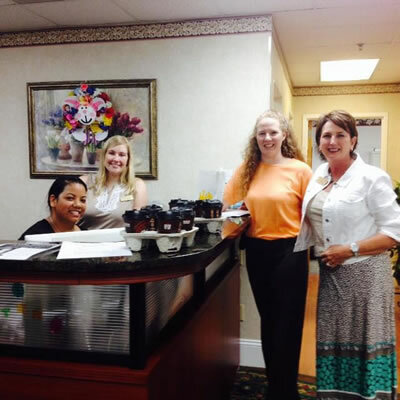 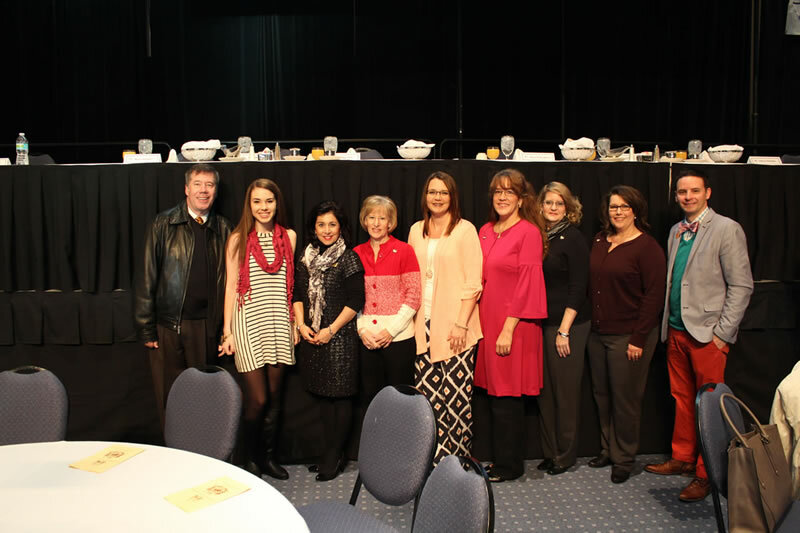 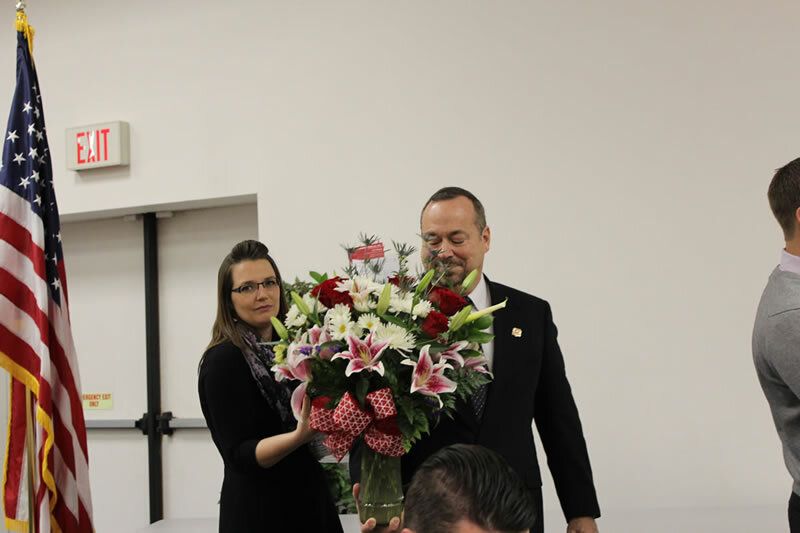 On December 17th, 2014 a follow up meeting was held with all the charities as well as a check presentation to the Fisher House Foundation. 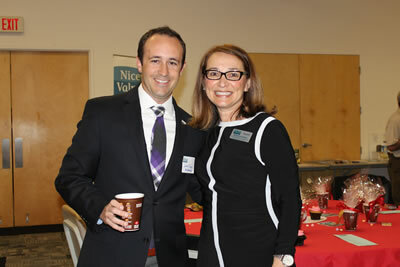 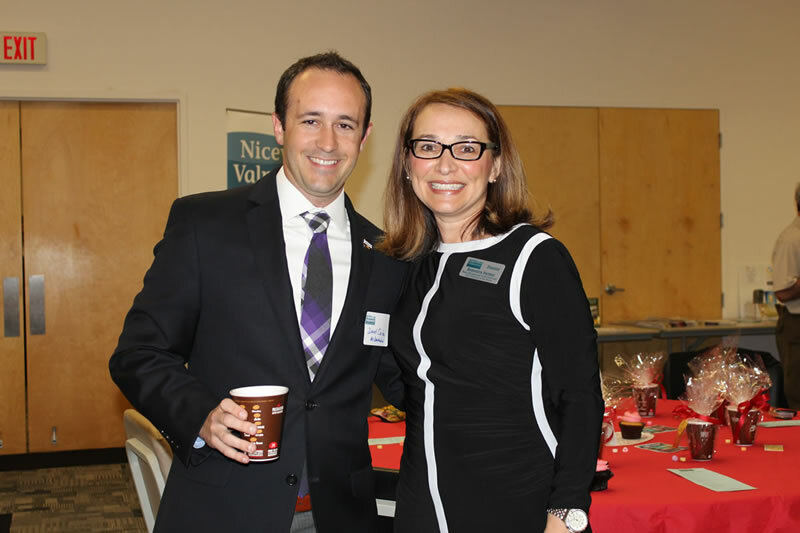 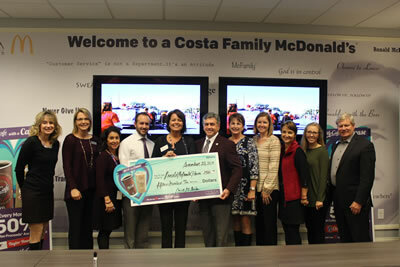 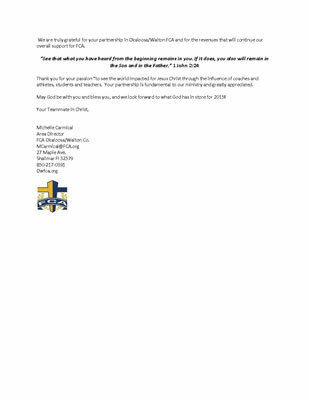 Kevin McKone, Director of Operations for the Costa Organization specifically addressed joint commitment by the Costa Organization and the charities to make the MWAC program a success. 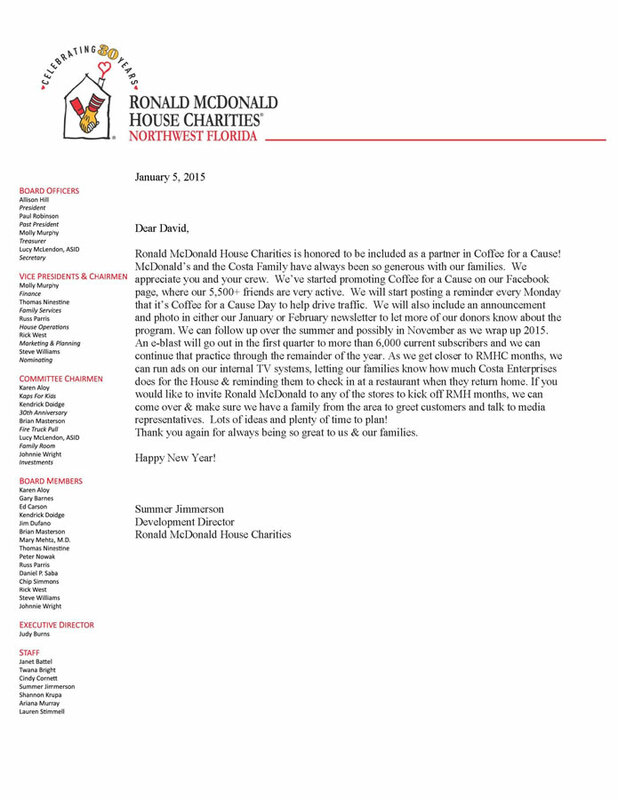 There was 100% support from all the charities to do whatever it takes to make the program a success and a legacy for years to come. 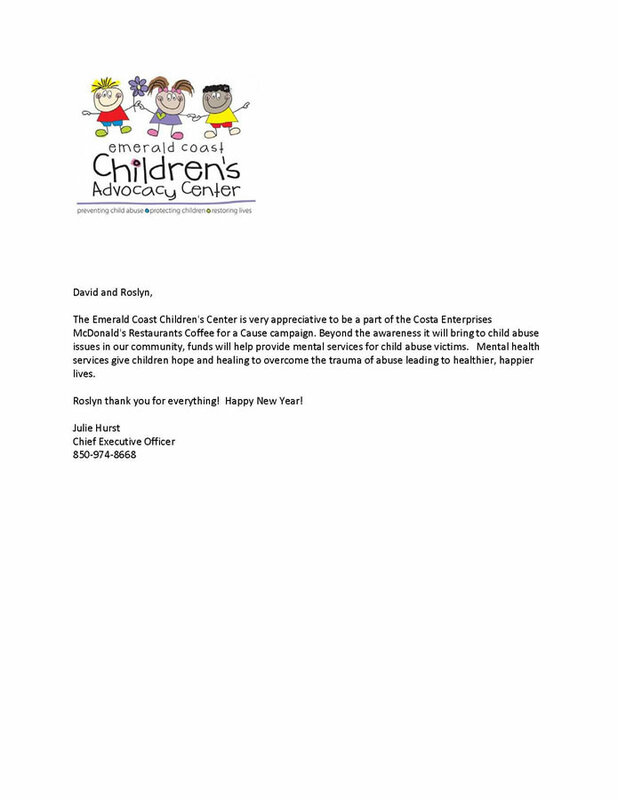 The next involvement of the charities will be for them to be present in our locations on each Monday of that month that supports their charities particular cause. 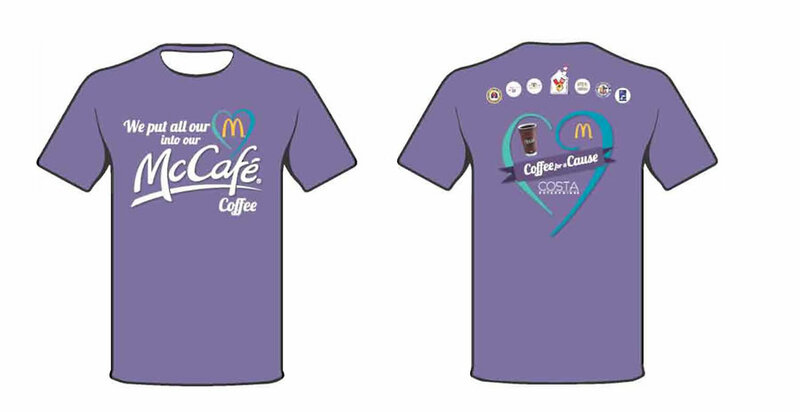 The charity volunteers will be providing hospitality and awareness of MWAC to customers in the lobby and drive thru while proudly displaying their MWAC shirt. 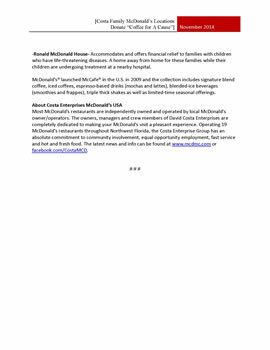 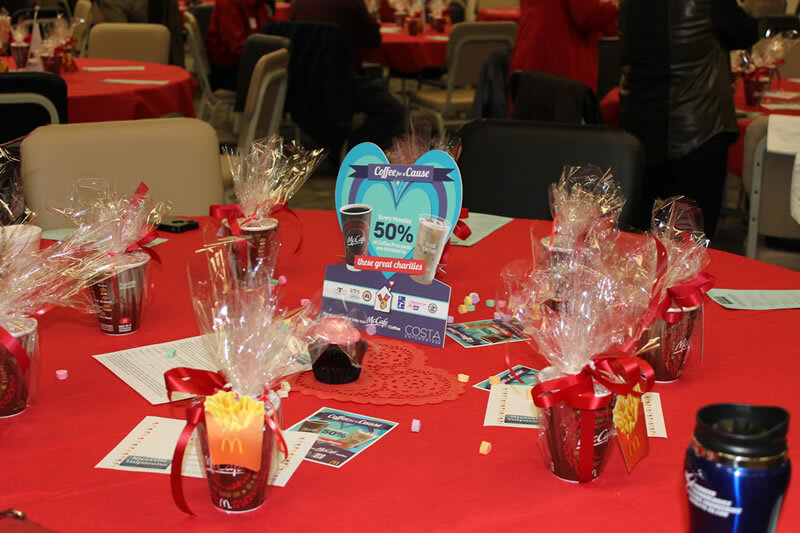 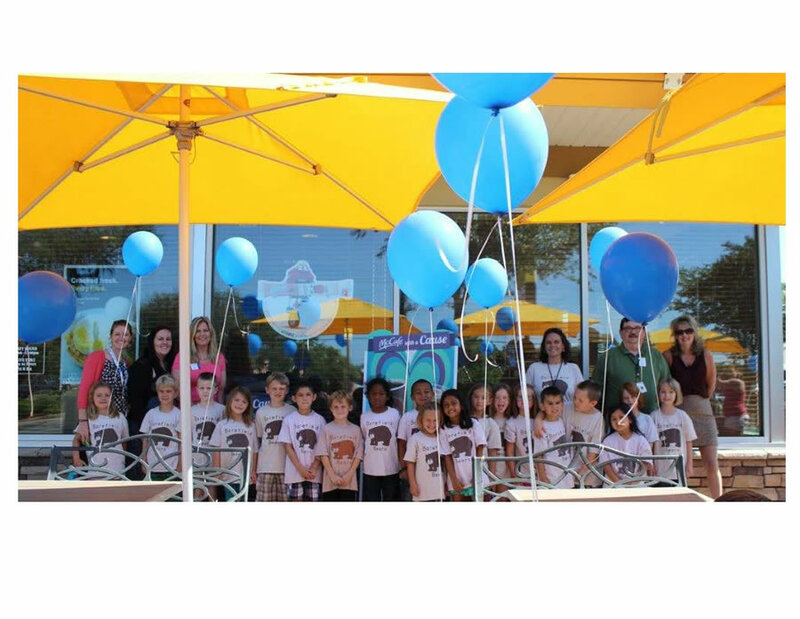 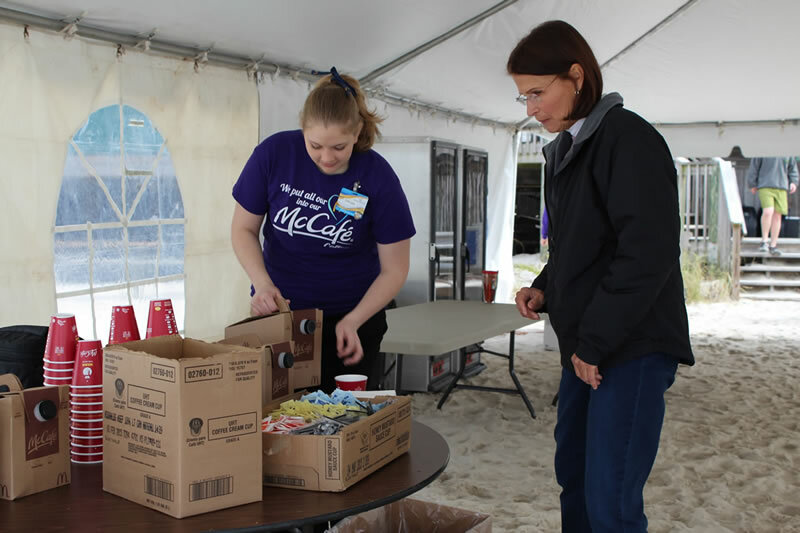 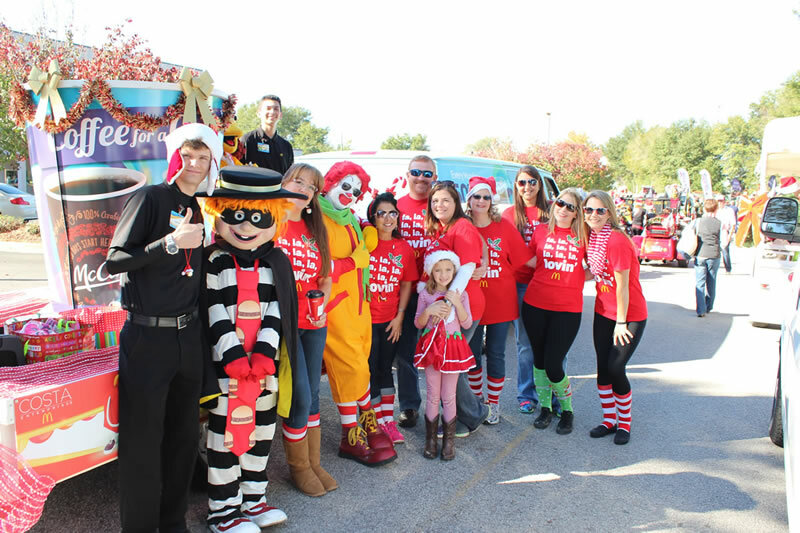 The partnership of the charitable organization and the McDonalds Owner/Operator Organization is key to connecting with the consumer and bringing the awareness to the MWAC Program. 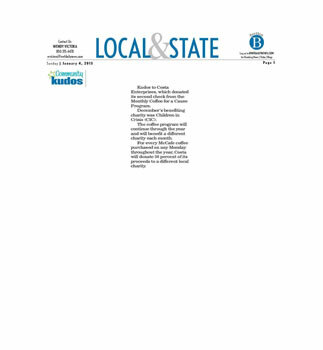 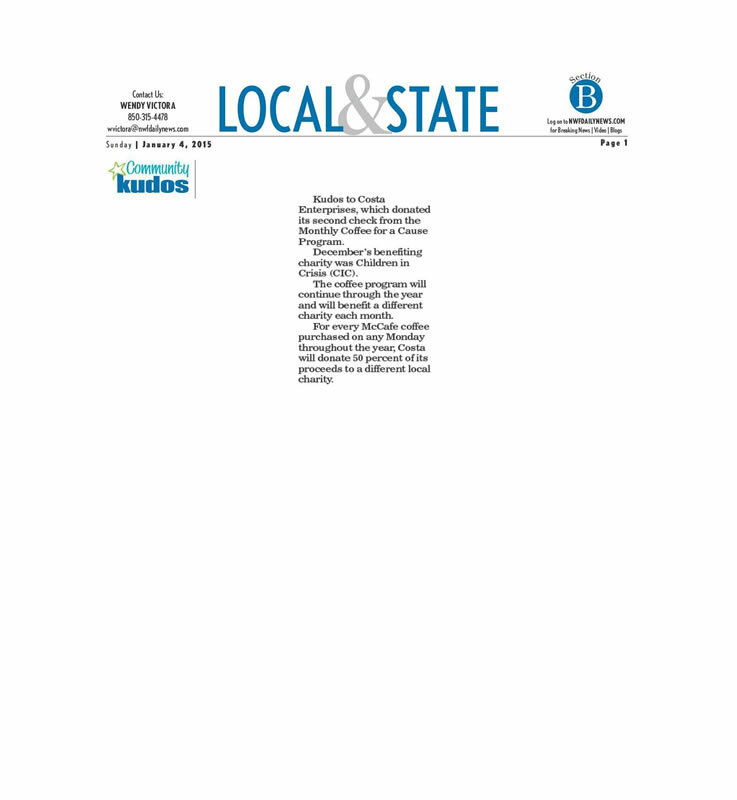 The result of this partnership strongly helps build back our family customer confidence and ultimately growing our consumer base by investing back into our community. 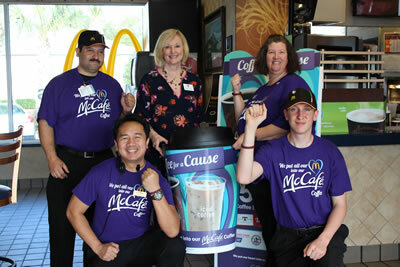 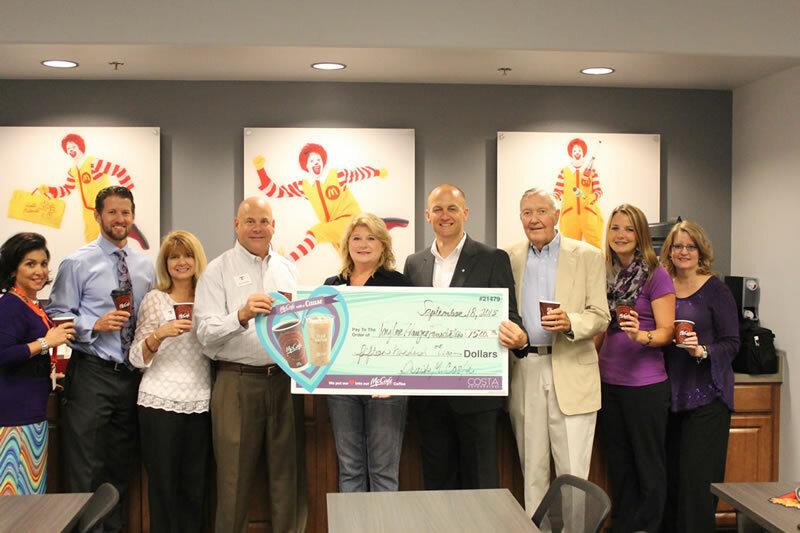 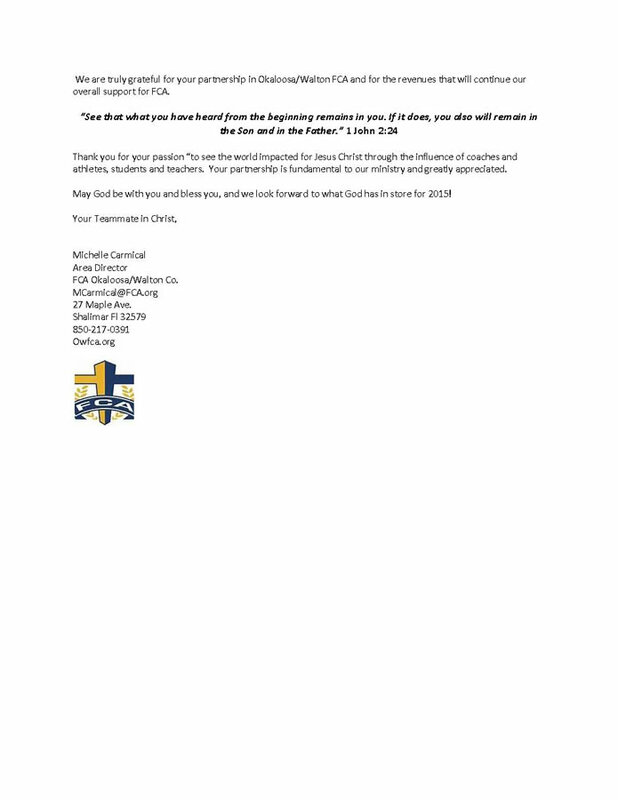 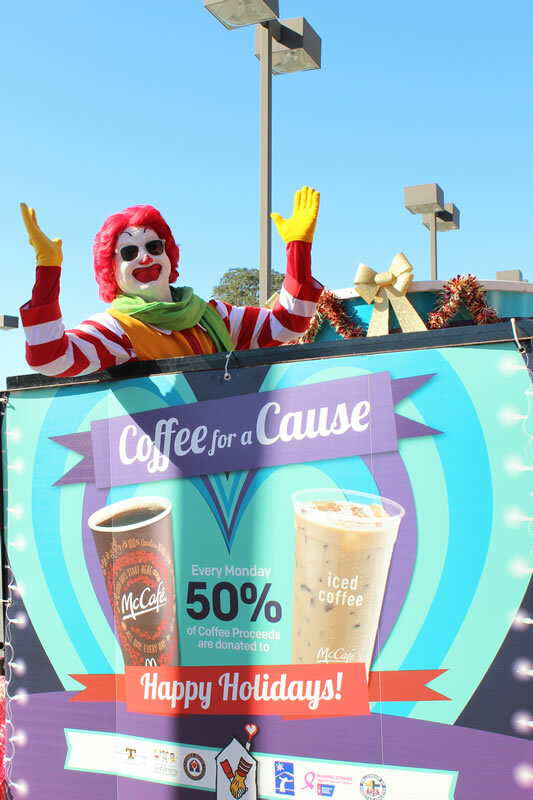 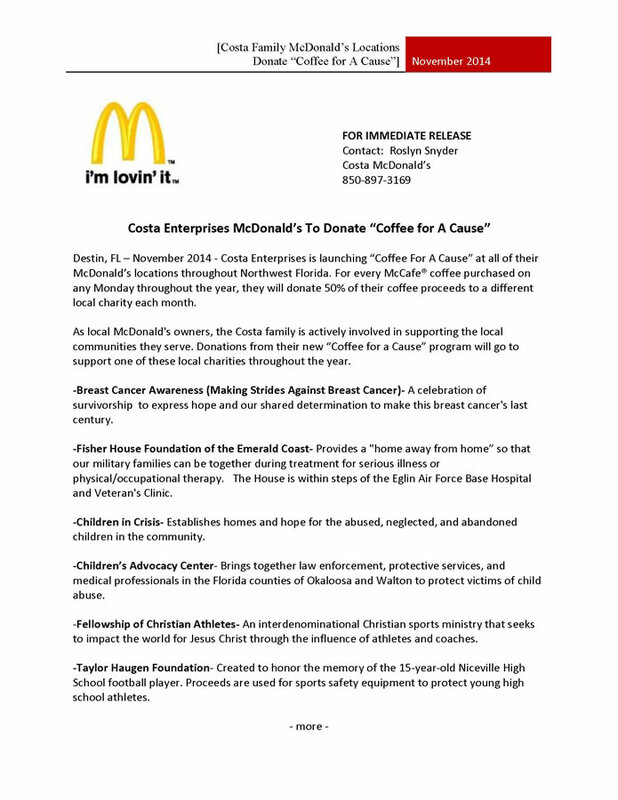 The plan for 2016 is to enhance the program with twelve (12) charities to maximize the exposure of the McCafe with a Cause Program and broaden the support to each of the communities. Provides a "home away from home” so that our military families can be together during treatment for serious illness or physical/occupational therapy. 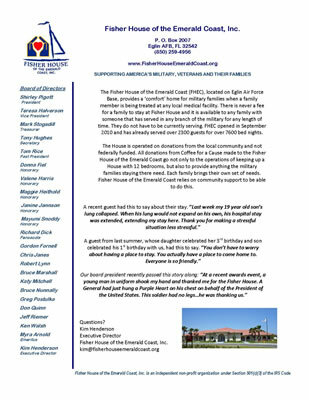 The House is within steps of the Eglin Air Force Base Hospital and Veteran's Clinic. Provides long term care and a better quality of life to children with cancer and children in need. 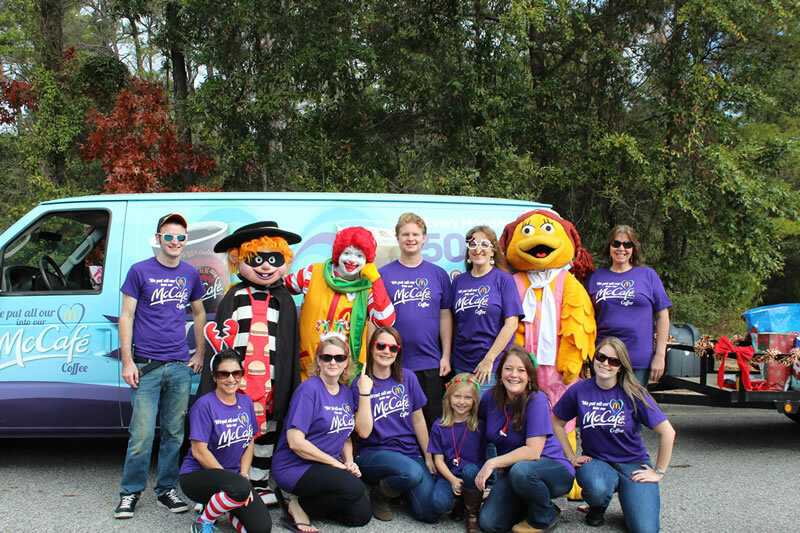 Provides homes and establishes hope for the abused, neglected, and abandoned children of our community, keeping siblings together for short and long term placement. Provide safe and positive environments for youth between the ages of 5-18 years during out of school time as an alternative to being on the streets or home alone, offering programs in our 3 Priority Outcome Areas: Academic Success, Good Character & Citizenship and Healthy Lifestyles. The Taylor Haugen Foundation was created to honor the memory of the 15-year-old Niceville High School football player. Proceeds are used for sports safety equipment to protect young high school athletes. 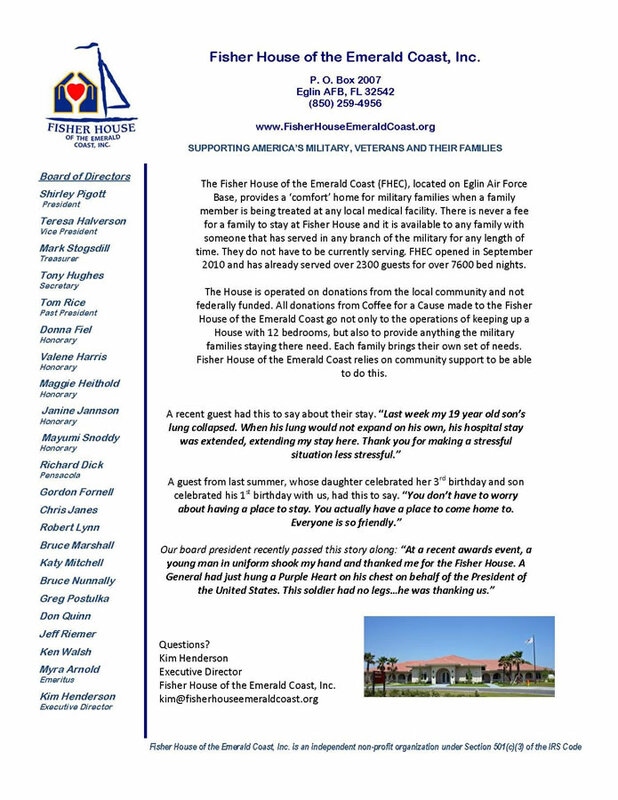 Serves the EOD community by providing financial assistance and support to active-duty and veteran wounded, injured or ill EOD warriors, families of our wounded and fallen EOD warriors and by maintaining the EOD Memorial. 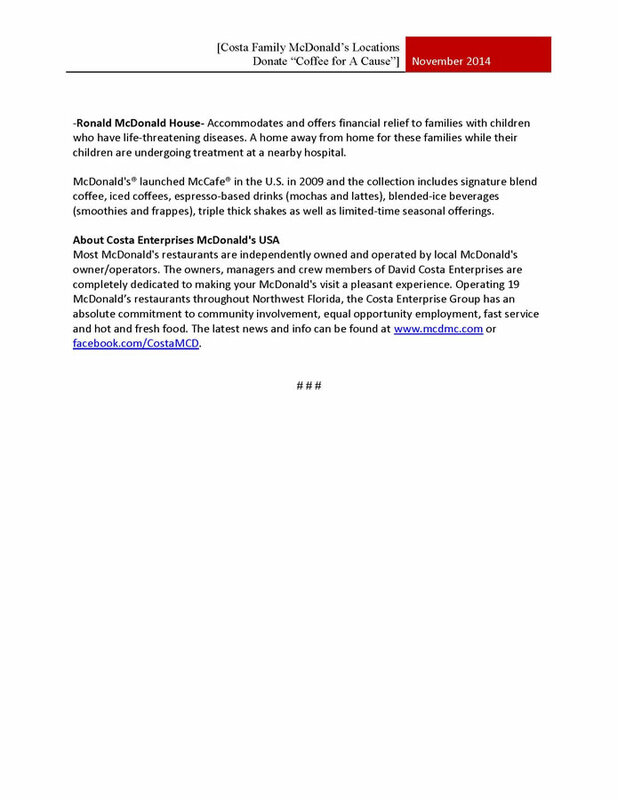 A house to accommodate and offer financial relief to families with children who have life-threatening diseases. A home away from home for these families while their children are undergoing treatment at a nearby hospital. 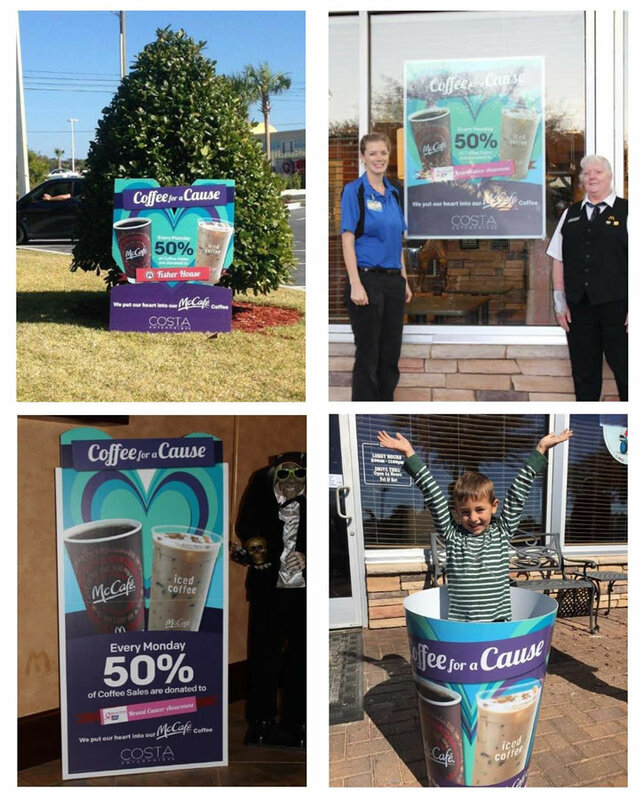 The following MWAC advertising elements have been designed by the Costa Organization and developed and produced by Altrua Global Solutions. 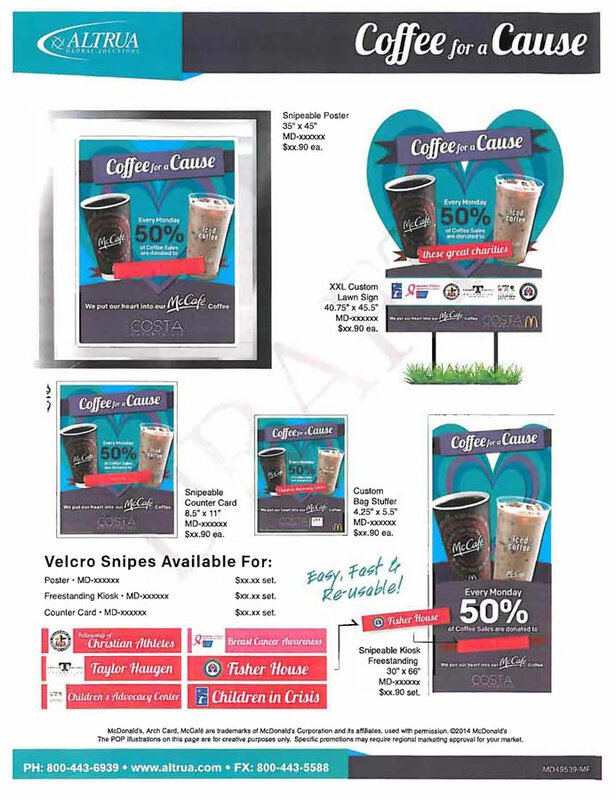 The elements shown on the following pages can be purchased and tailored to your specific organization to promote and advertise your desired charity. 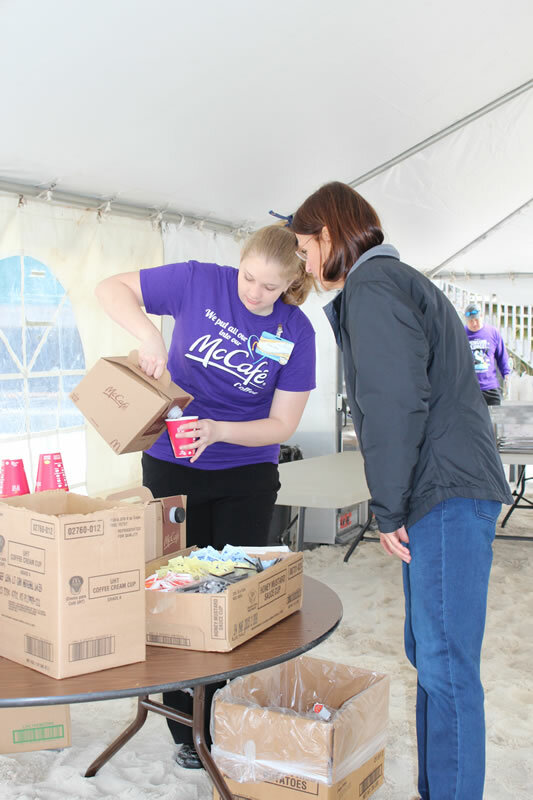 The specific charity name is produced on removable strips so the main POP element can be utilized for many months at a time. Because the MWAC design and setup work have been already completed each Owner/Operator organization can benefit from a substantial cost savings and purchase all the elements today for approximately 1/3 the cost. 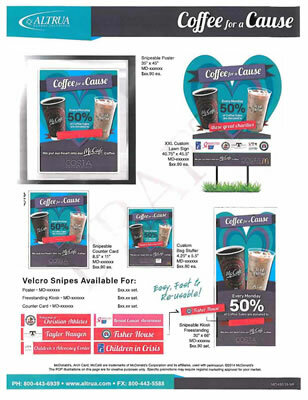 Altrua has agreed to provide all the store POP elements for a reduced price. 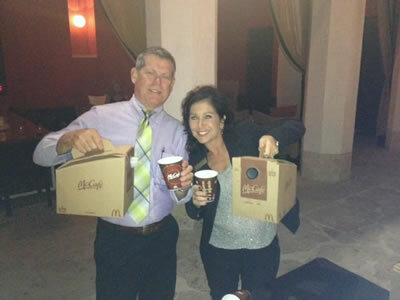 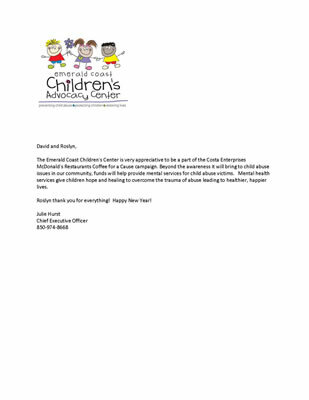 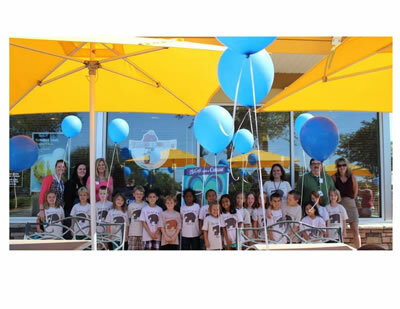 Melode and Skip Smelko, Owners of Altrua stated “this is our way of giving back because of the generosity of McDonalds and what their operators are doing for these charities.” Altrua marketing can be contacted by phone at 1‐800‐433‐6939 or on their website at www.altrua.com. 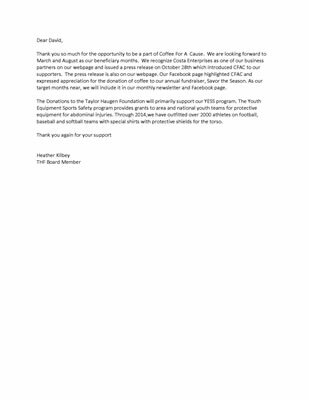 The 2016 plan is to work with Altrua and develop POP elements to the next level. 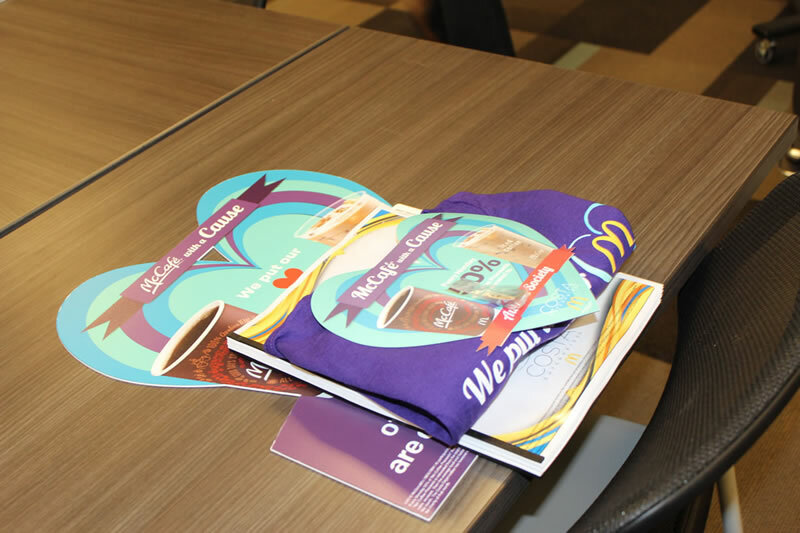 These 2016 elements include a trifold brochure, additional wrapped vehicles and trailers, McCafe frequency cards and MWAC specialty lapel pins and hats for the crew and managers. 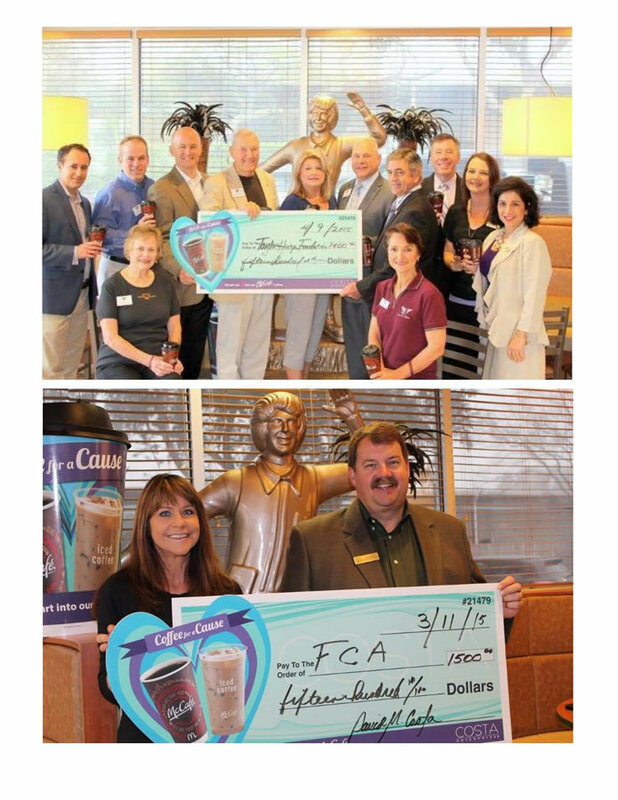 Our MWAC goal is to continue consistent donations to charitable organizations as well as enhance coffee growth through “giving back “to our communities. 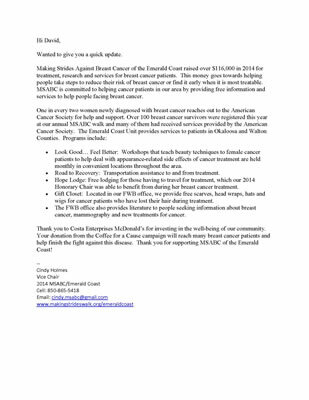 Our Organization felt it was important to Brand our MWAC Strategy in all areas of marketing to enhance consumer awareness. 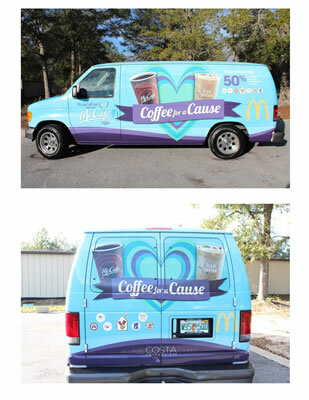 So, we created designs for our maintenance vehicles as well as large coffee cups to display at promotions, parades and charity sponsored events. The following pictures on the next pages will give you ideas on what we did with our vehicles and 3D coffee cups. 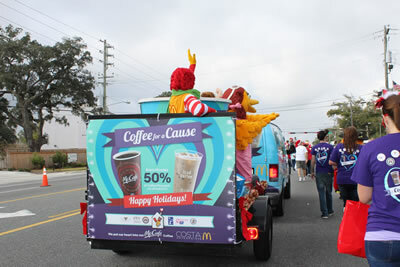 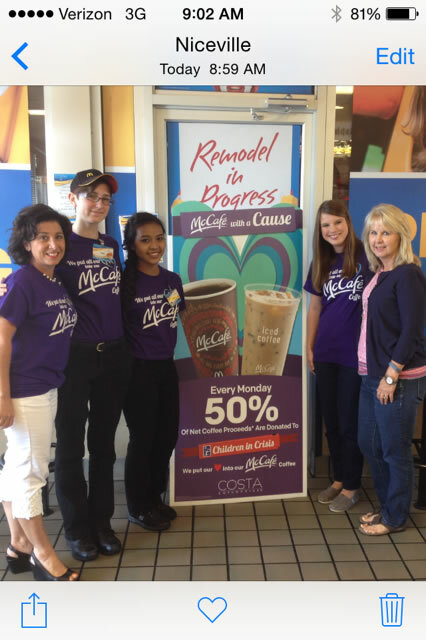 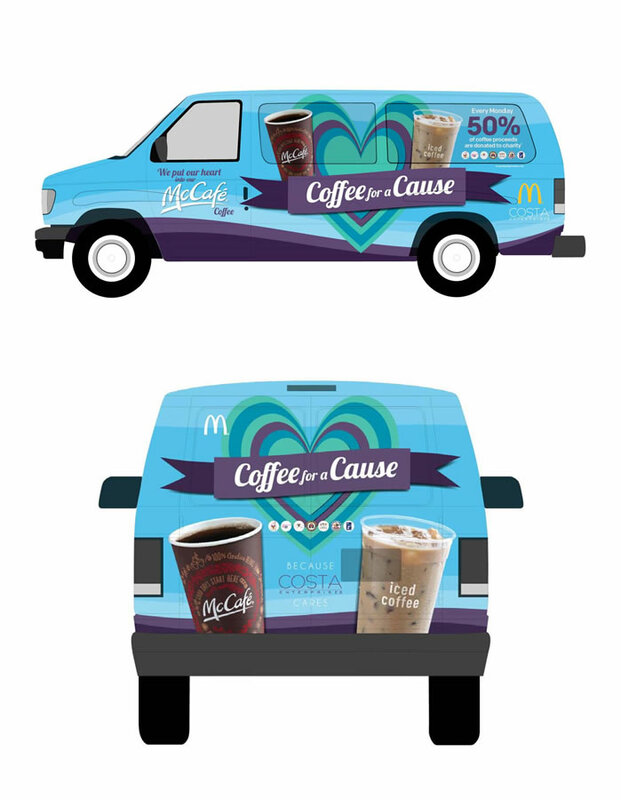 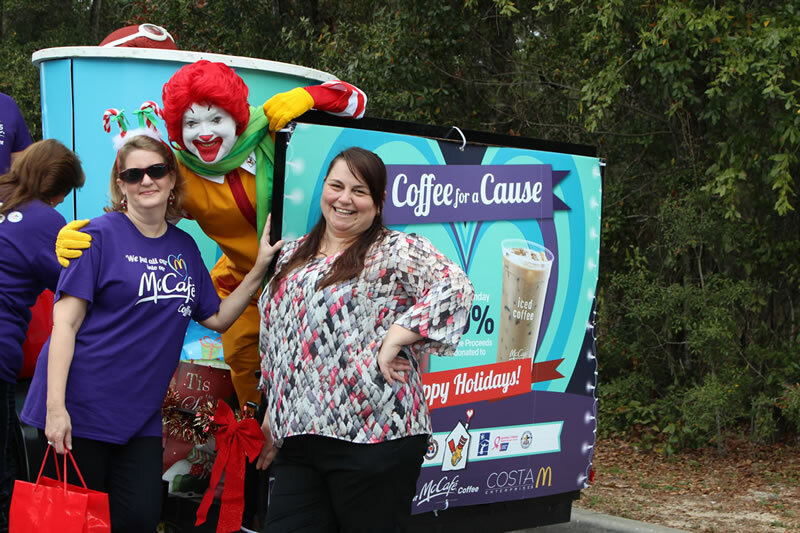 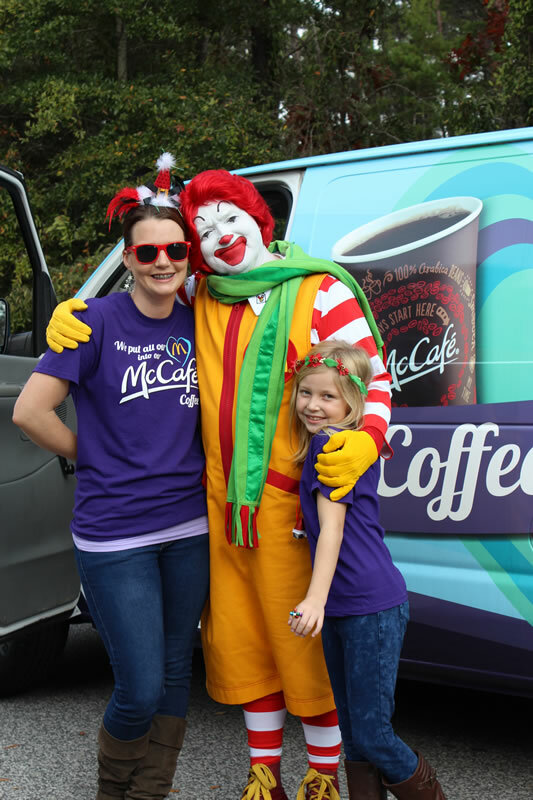 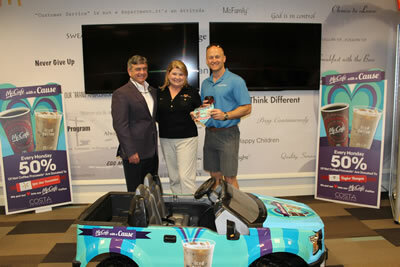 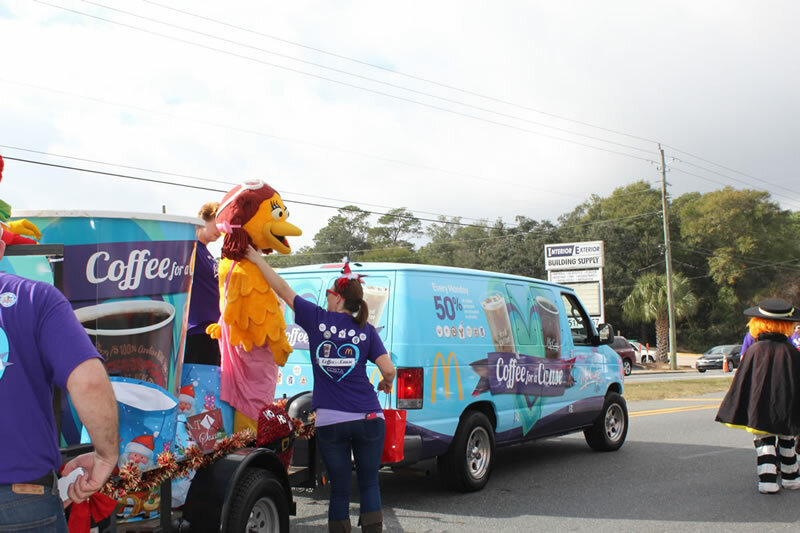 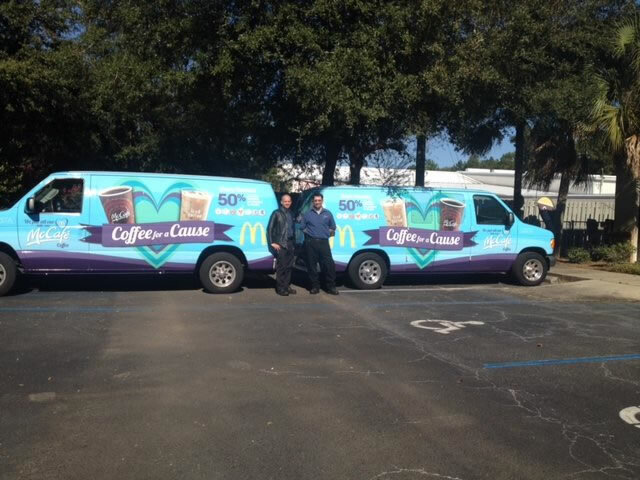 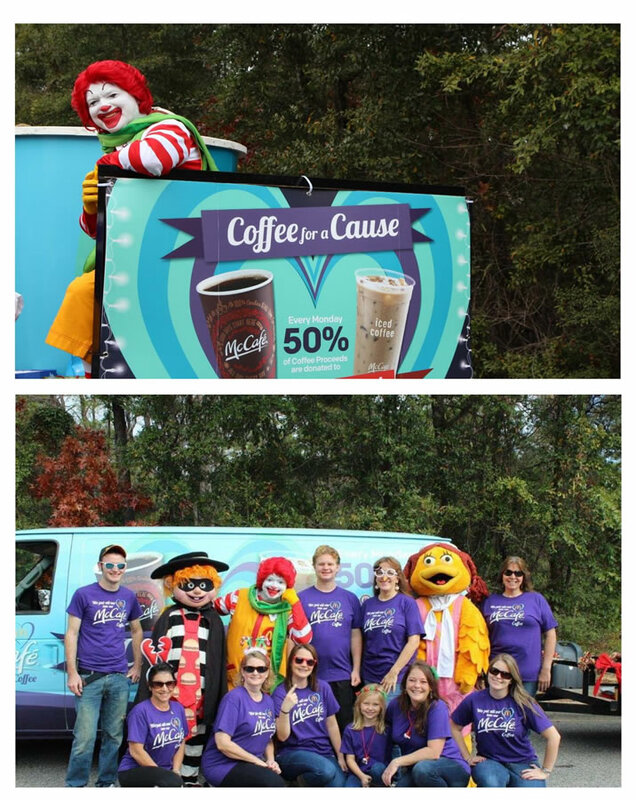 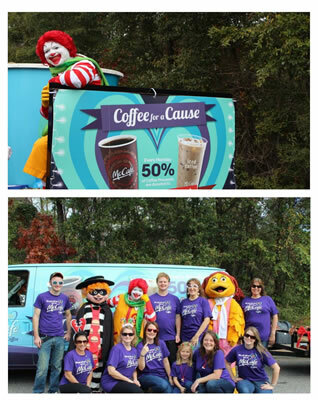 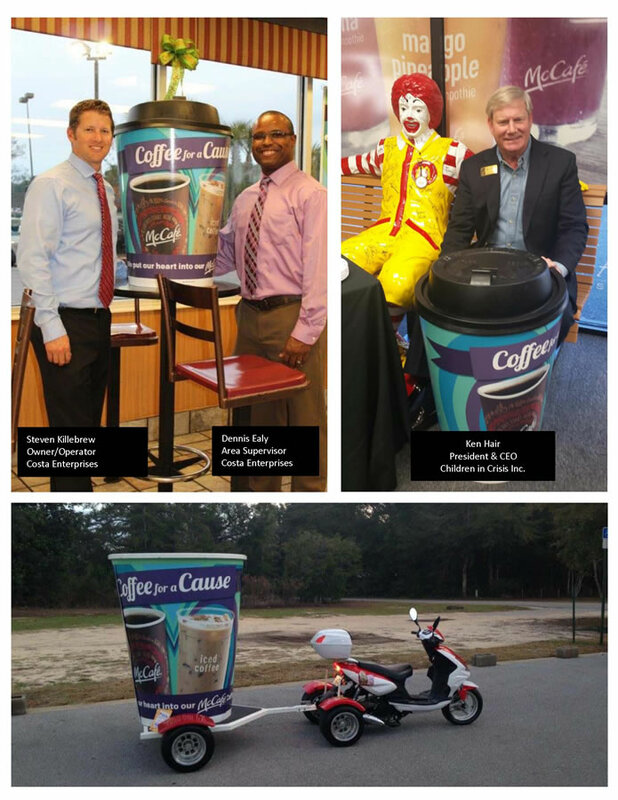 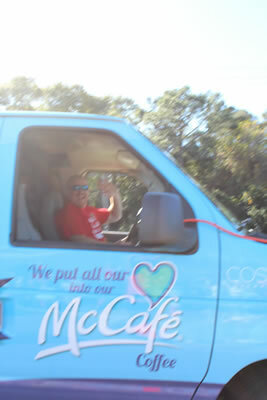 The plan for 2016 is to add a third vehicle for McCafe with a Cause graphics as well as featuring our own employees on the van wraps to promote hiring and retention at Costa Enterprises. 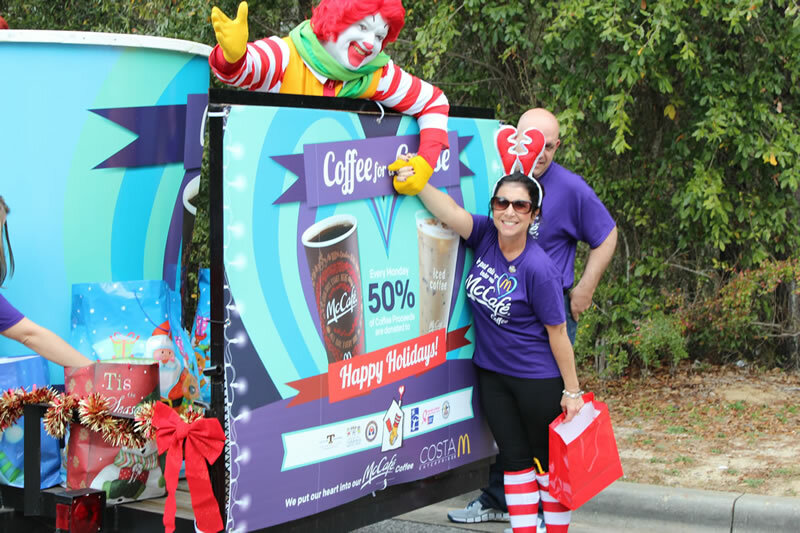 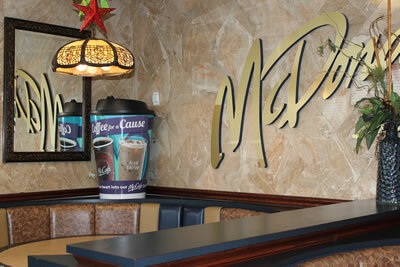 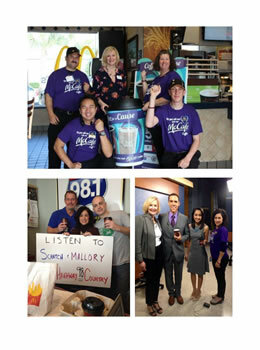 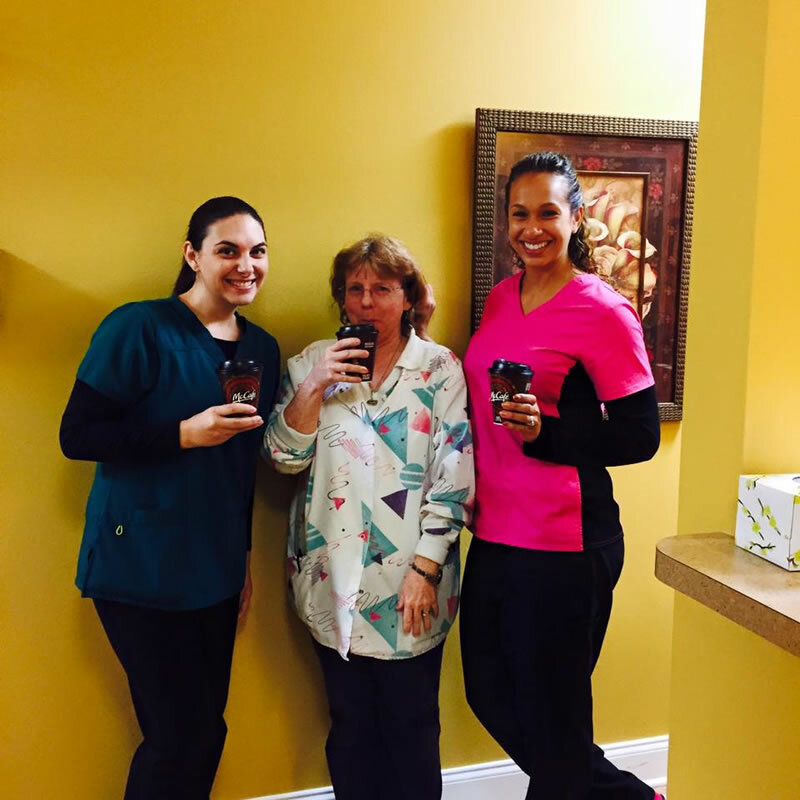 Our marketing plan will include partnering with a radio and TV station to create a marketing event to find the “McCafe Cup” within the communities. This will enhance awareness and excitement to the program and elevate awareness. 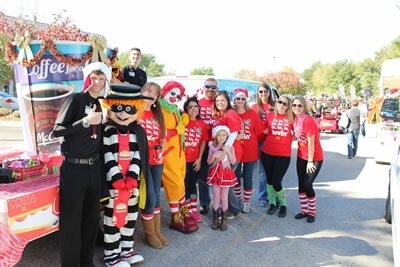 Crew involvement is key to the success of any promotion. 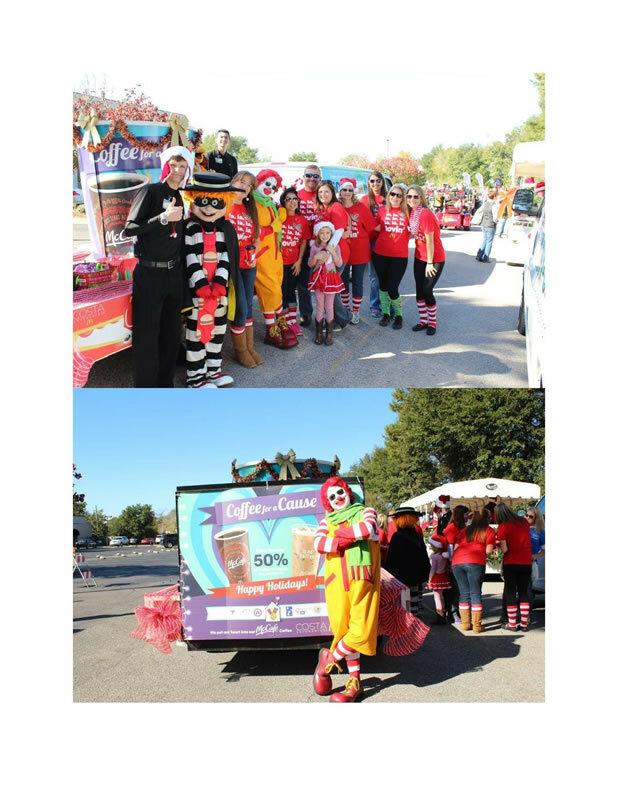 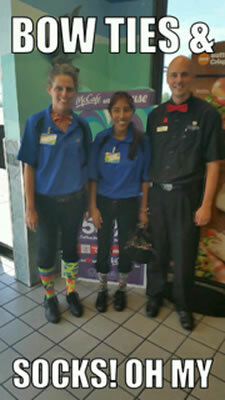 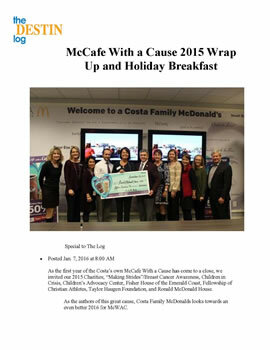 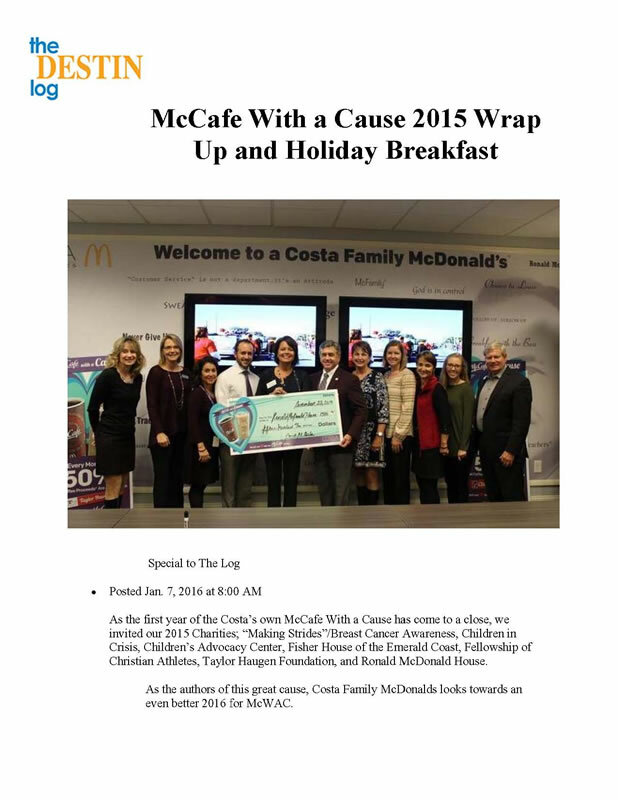 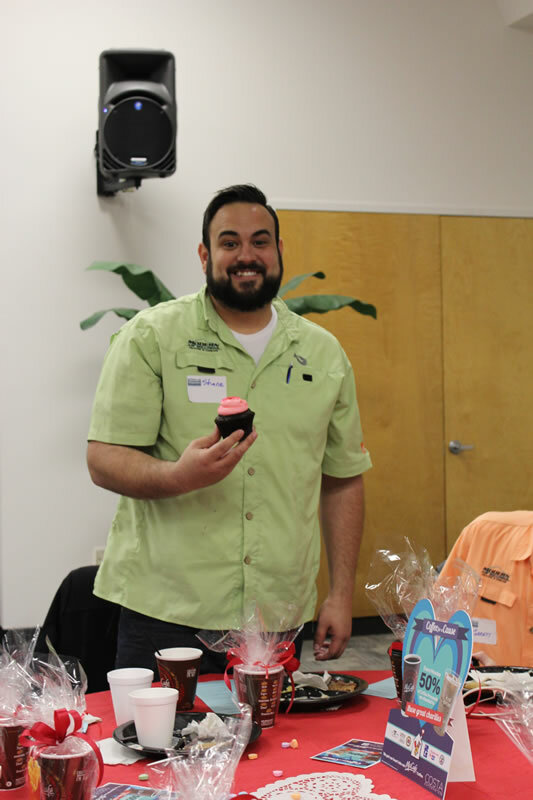 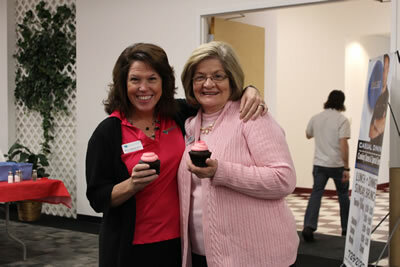 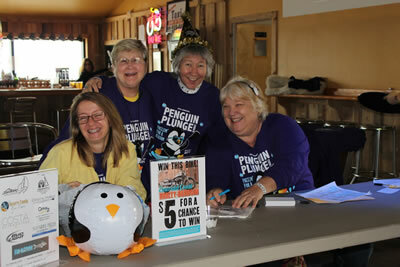 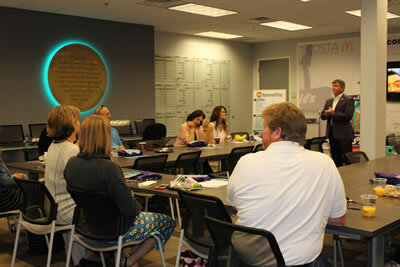 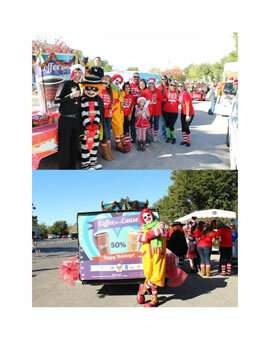 The Costa Organization wanted to enhance the fun with the crew and bring a strong awareness to the MWAC program. As a result T‐shirts were designed and produced for all 19 locations to wear every Monday. 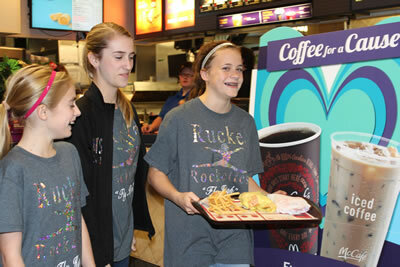 This seems to be the most exciting day of work for the crew because they love the MWAC shirts. 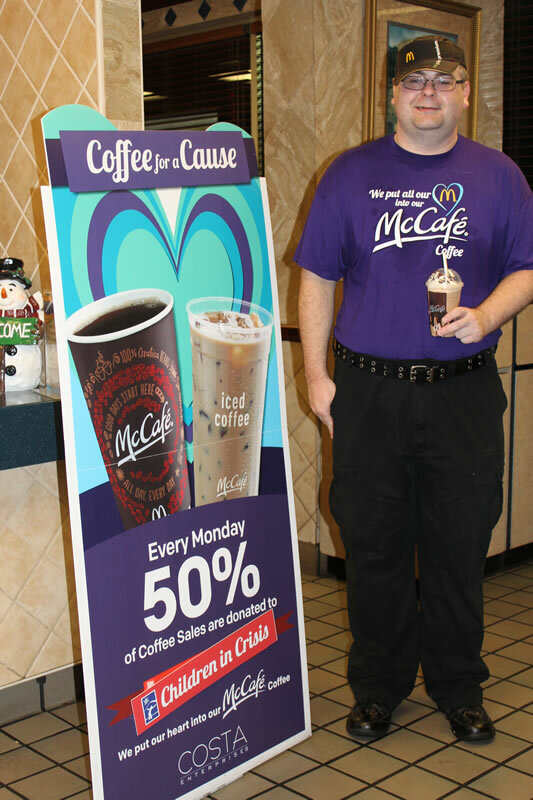 Little did we know that this T‐Shirt would lift the morale to a new level on Mondays. 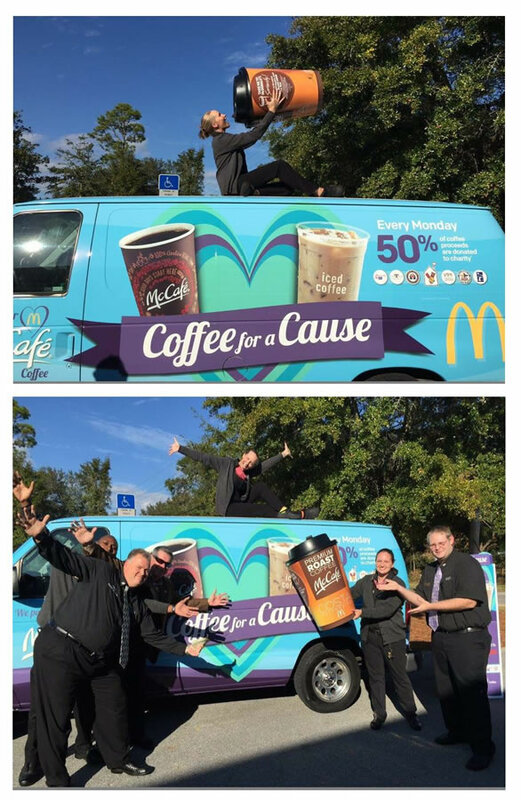 Also, we take different pictures of the crew each Monday to put up in the store locations and, of course, they love to share them on social media. 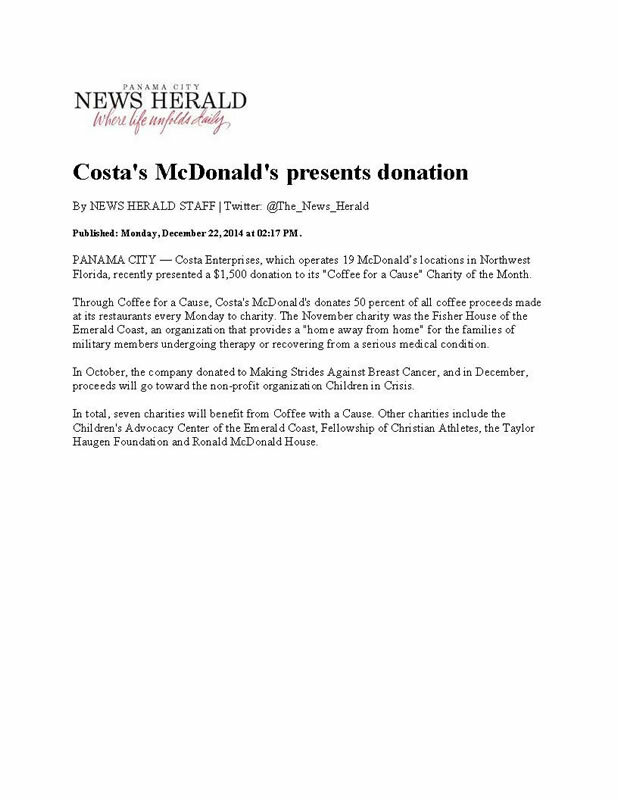 Additionally, competitive tactics among crew will be implemented in the month of January 2016 to help in growing coffee sales. 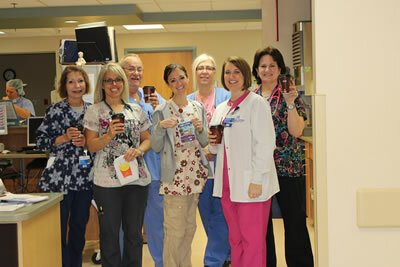 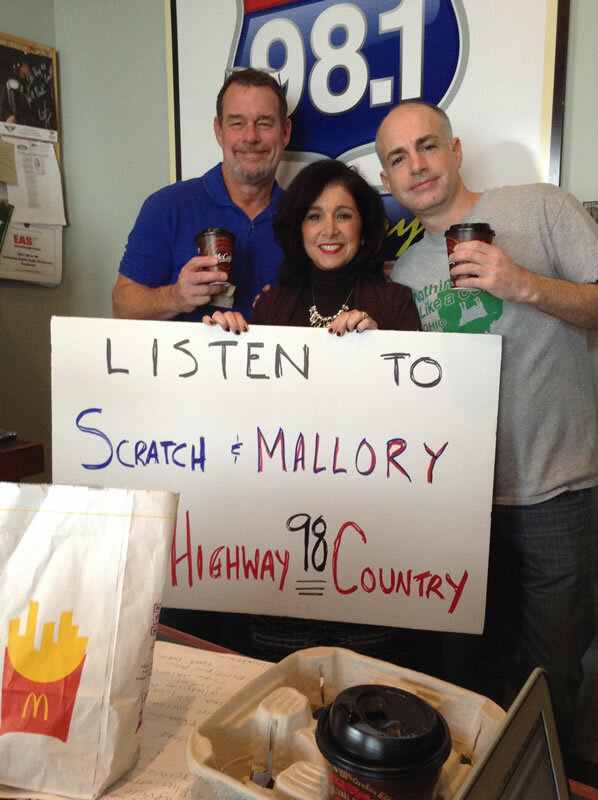 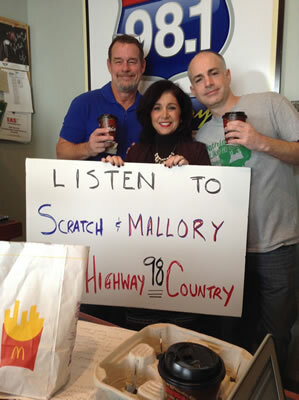 The crew are loving this MWAC promotion and are doing a great job growing coffee units.